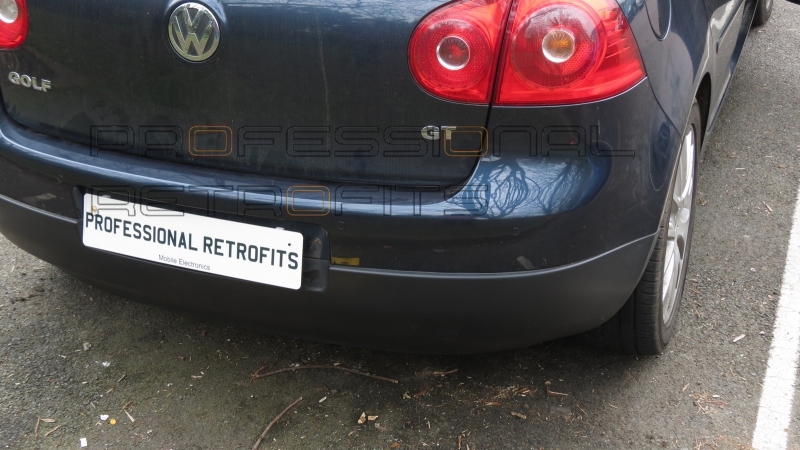 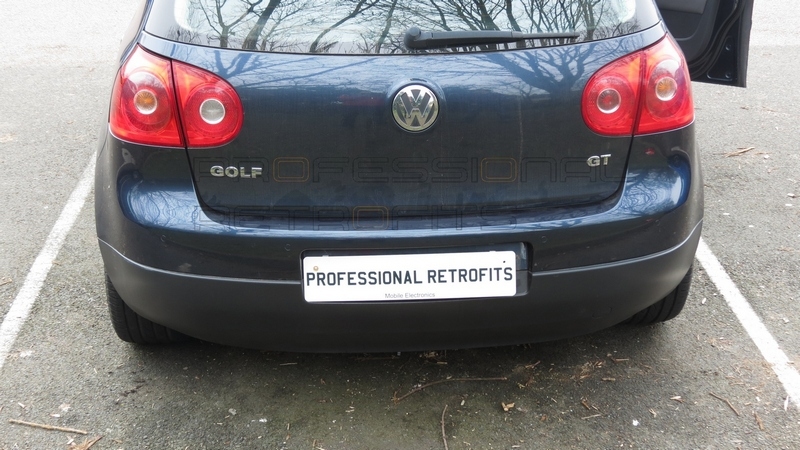 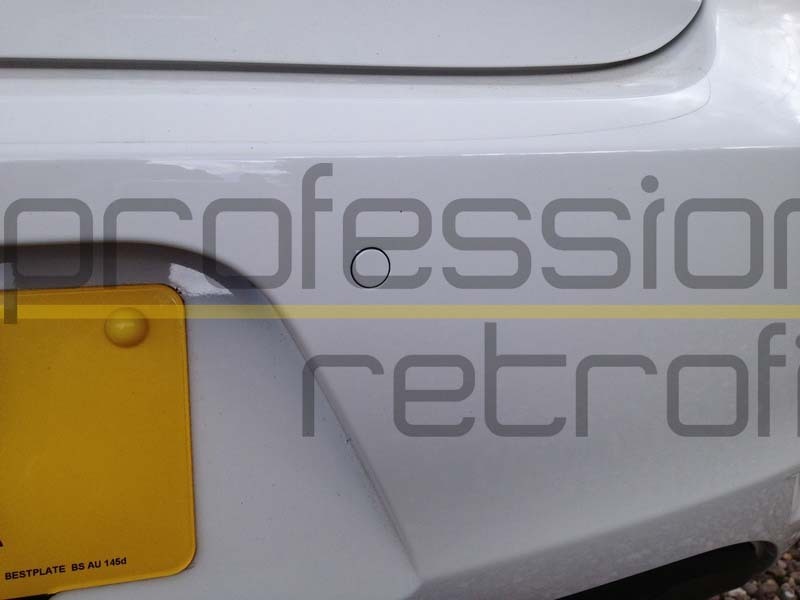 Perfect alternative to a OEM reversing sensors. 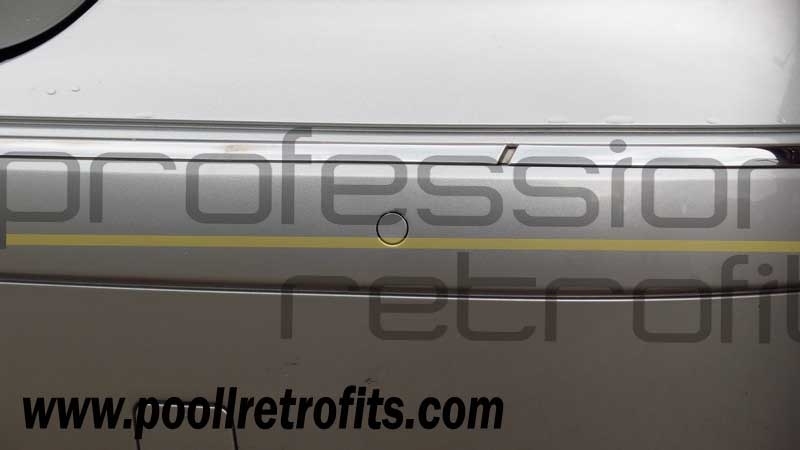 Totally flush fit solution. 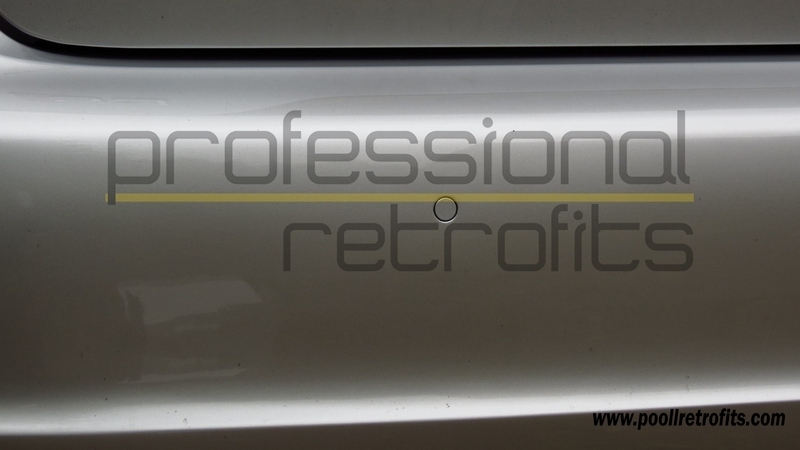 Vodafone R0394 and F0394 providing a totally flush installation and a superior manufacturer style finish. 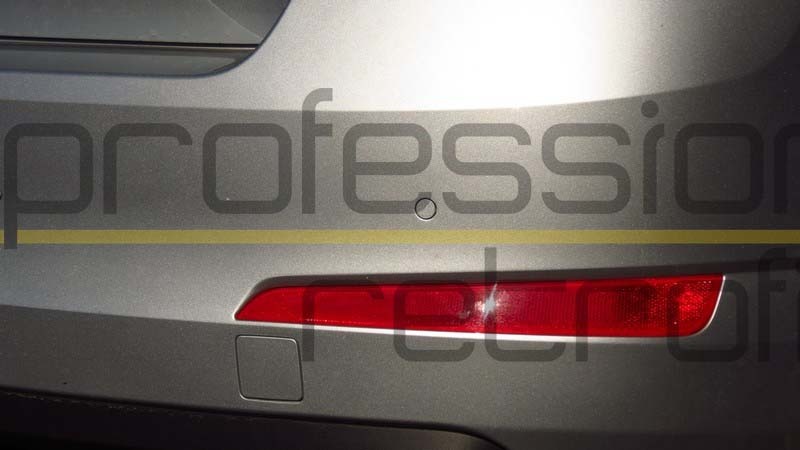 How does the front system activate? 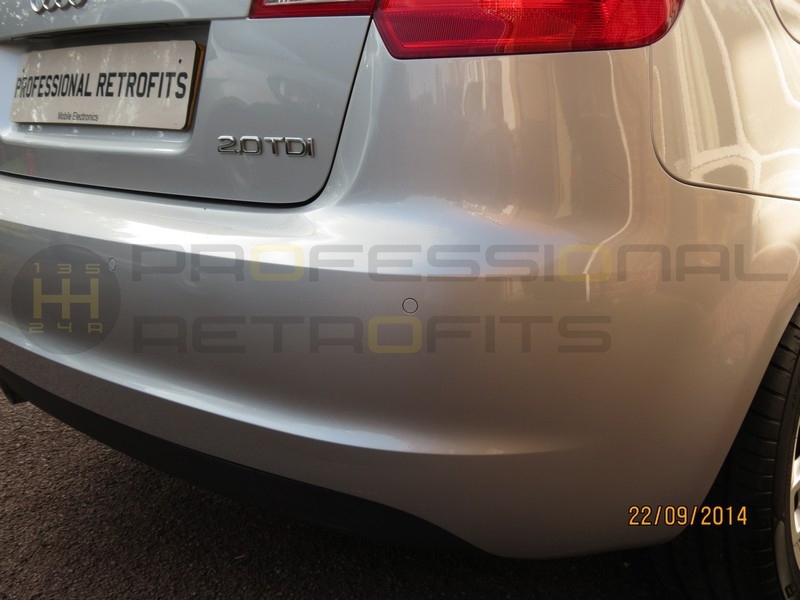 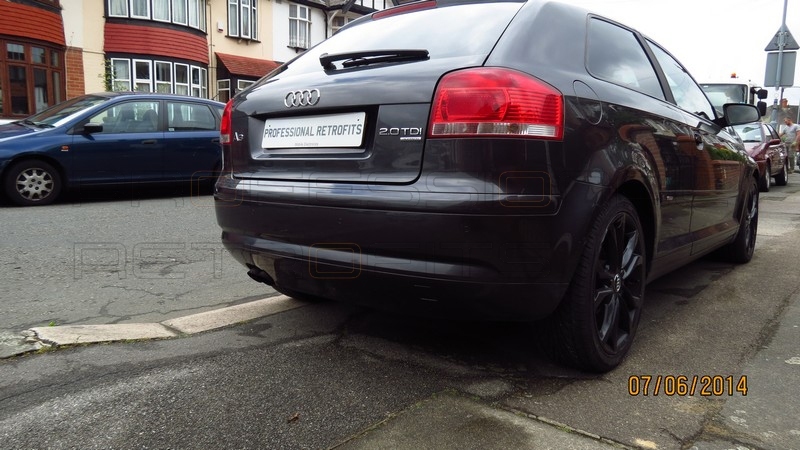 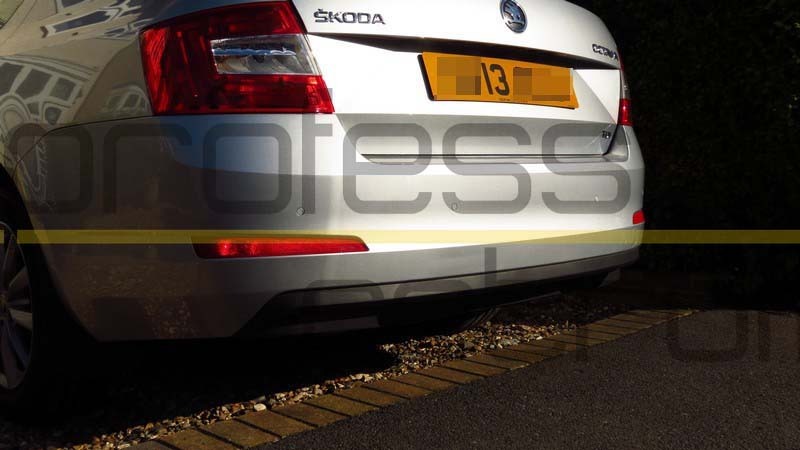 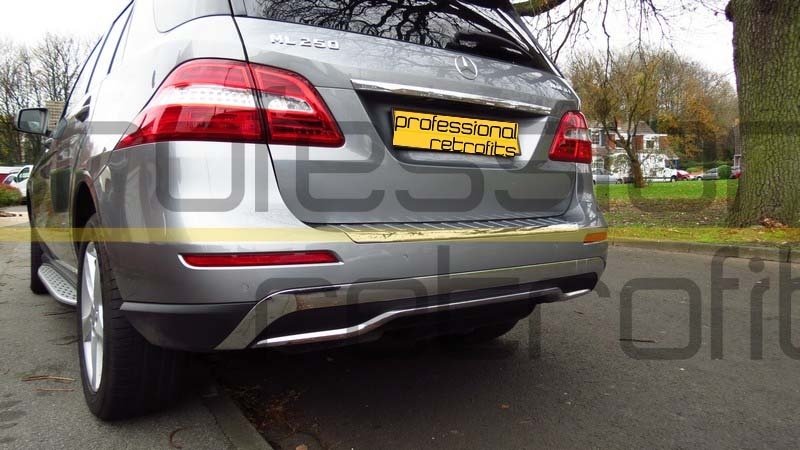 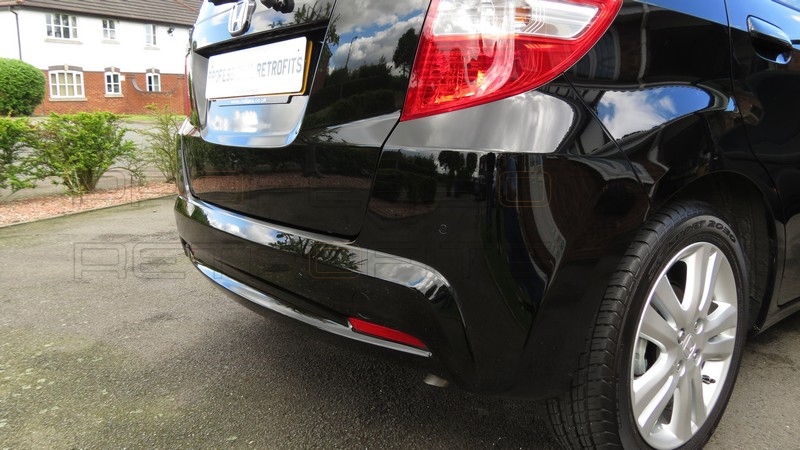 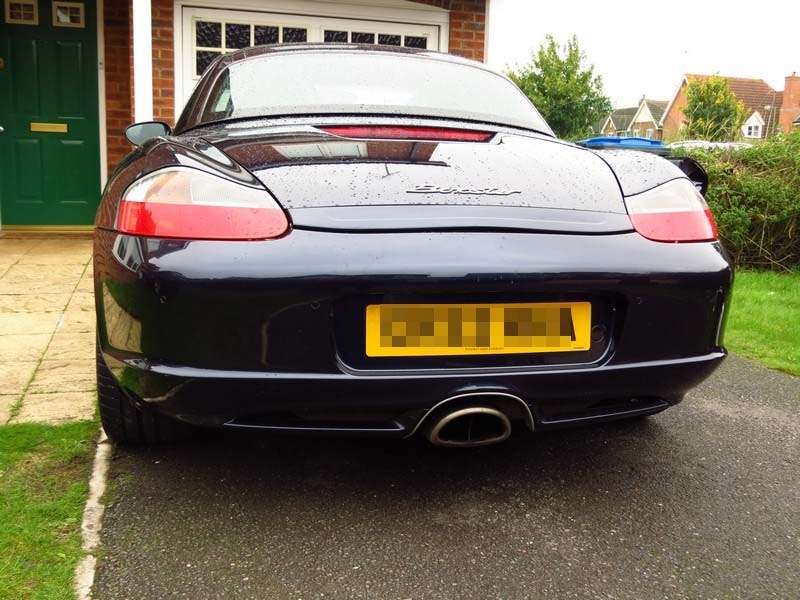 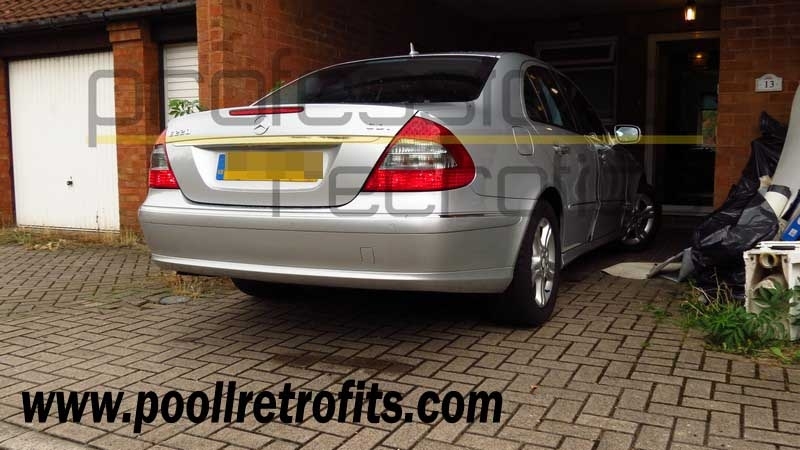 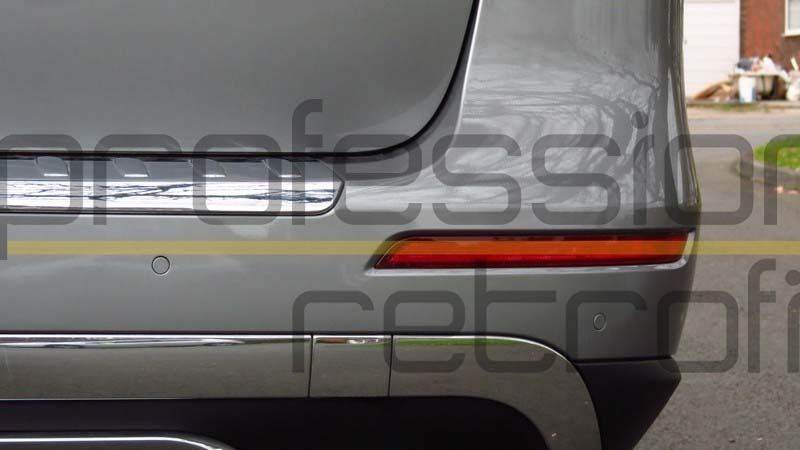 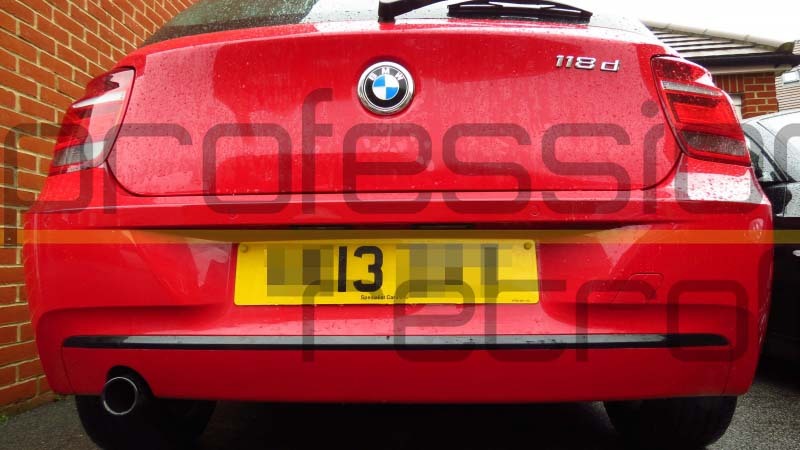 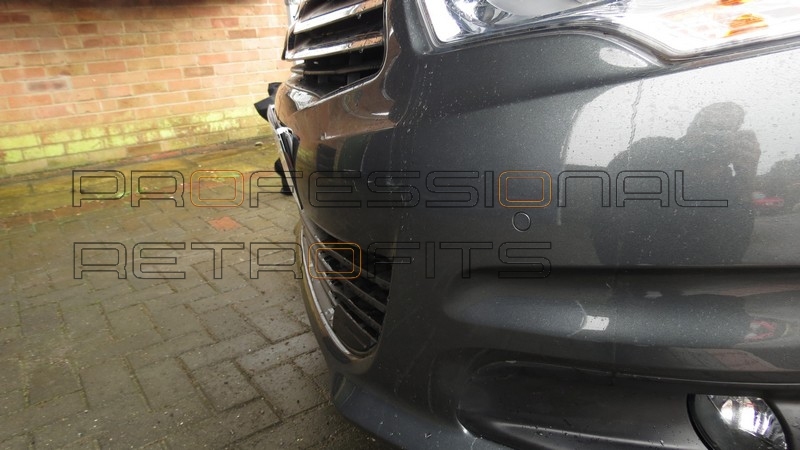 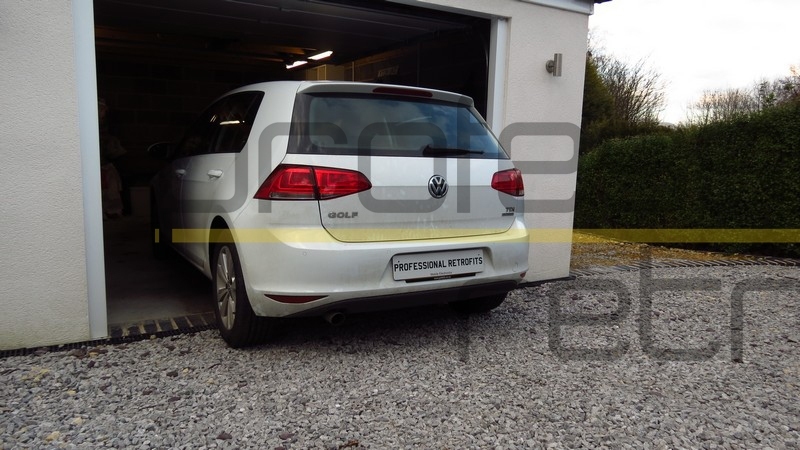 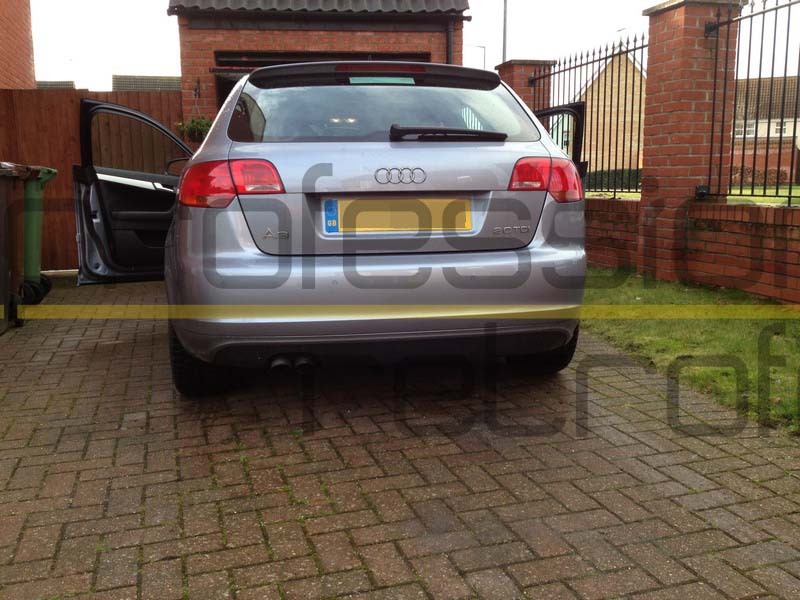 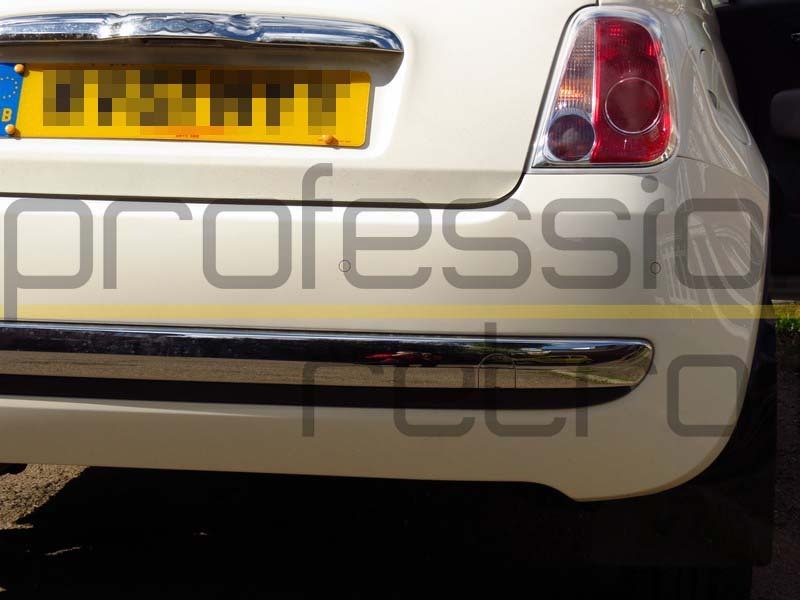 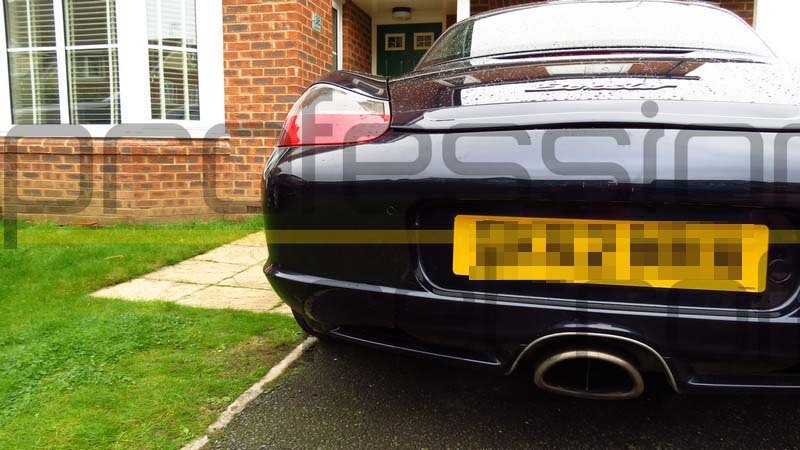 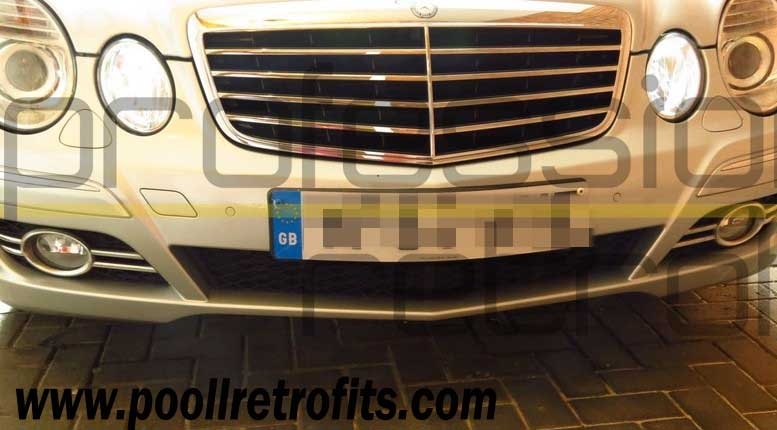 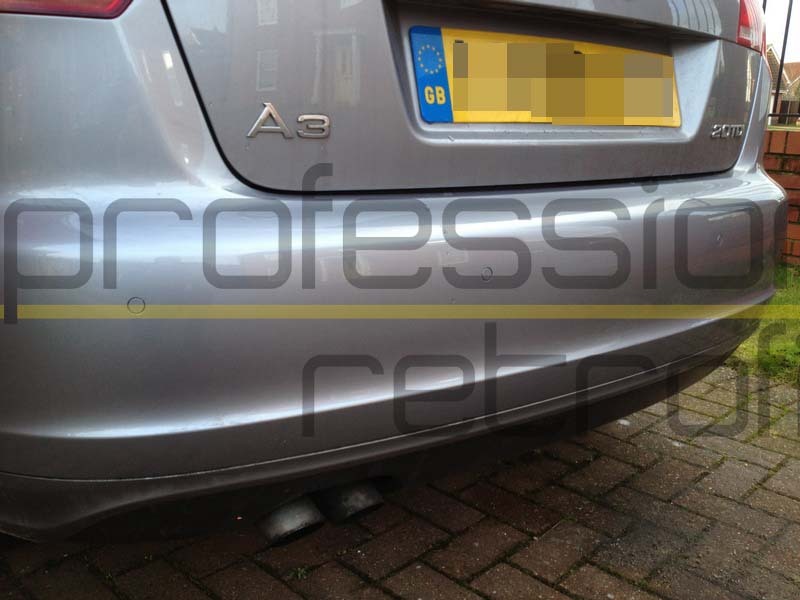 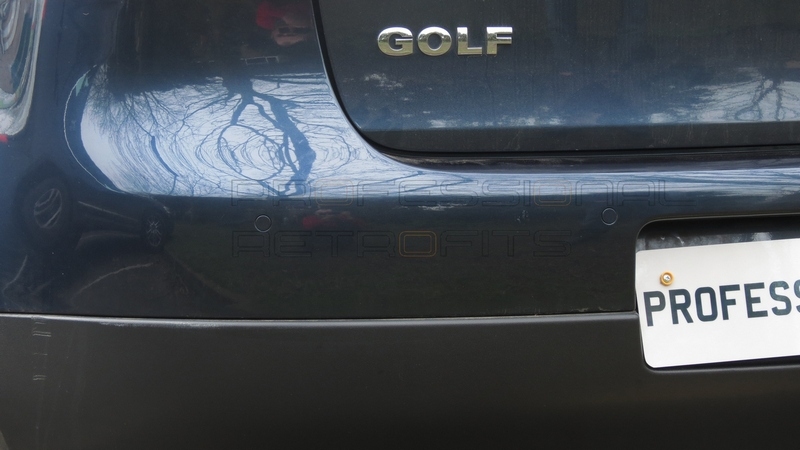 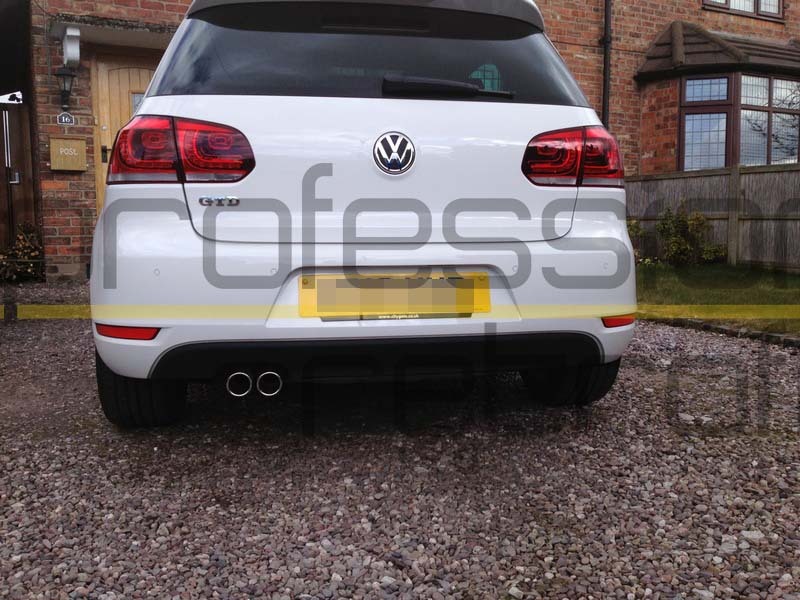 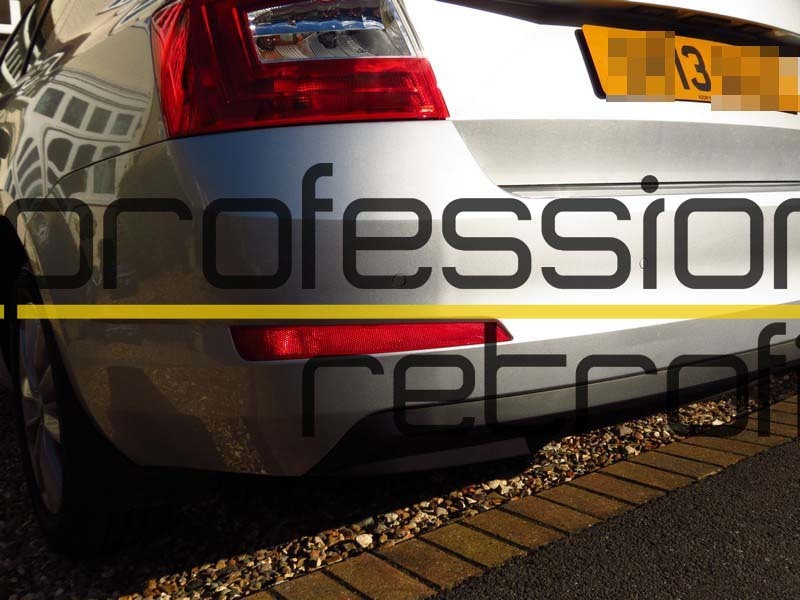 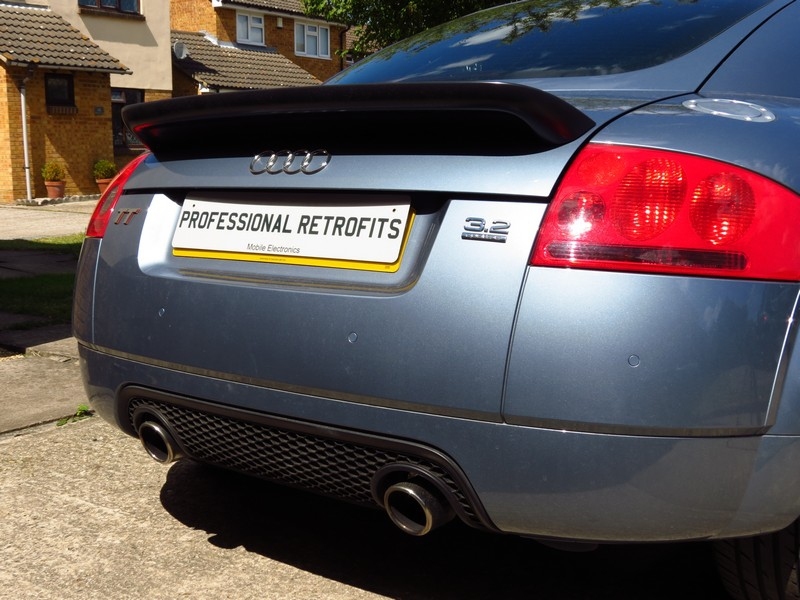 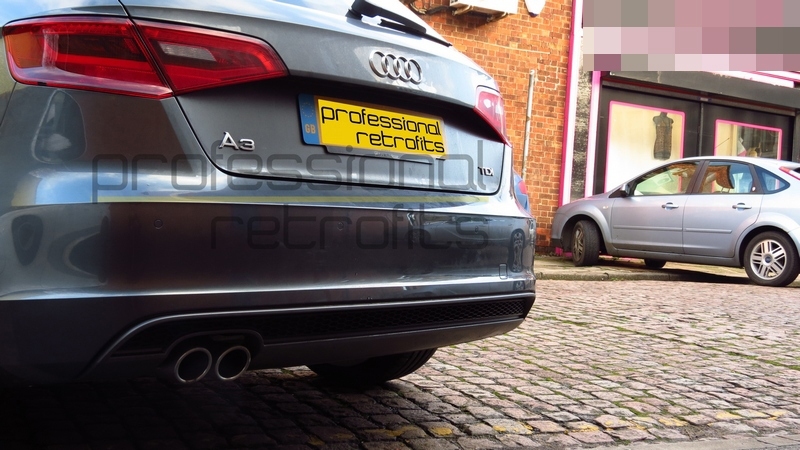 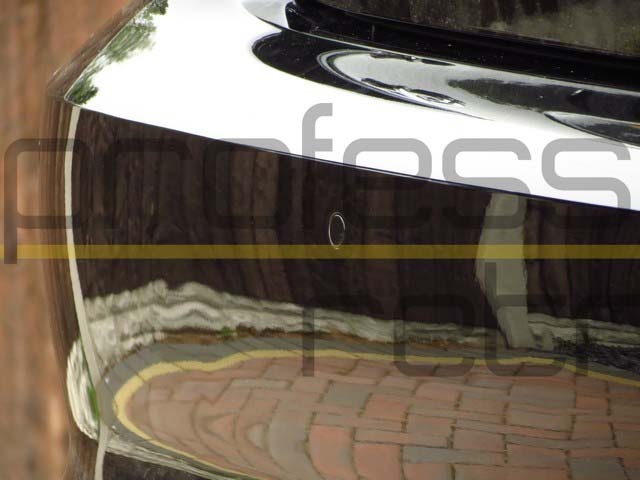 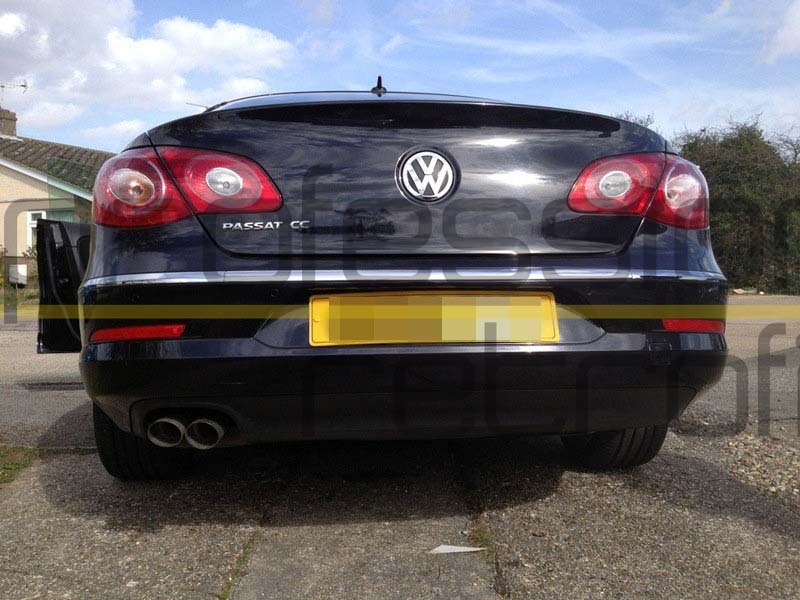 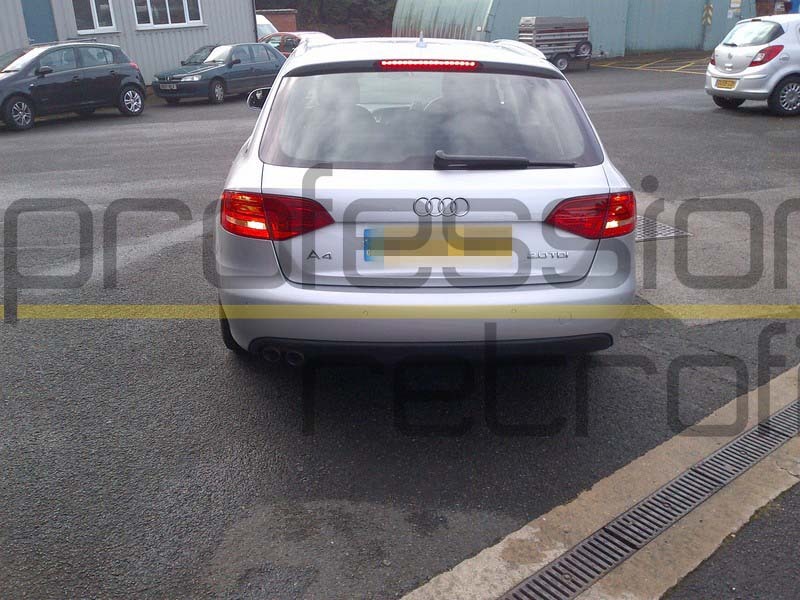 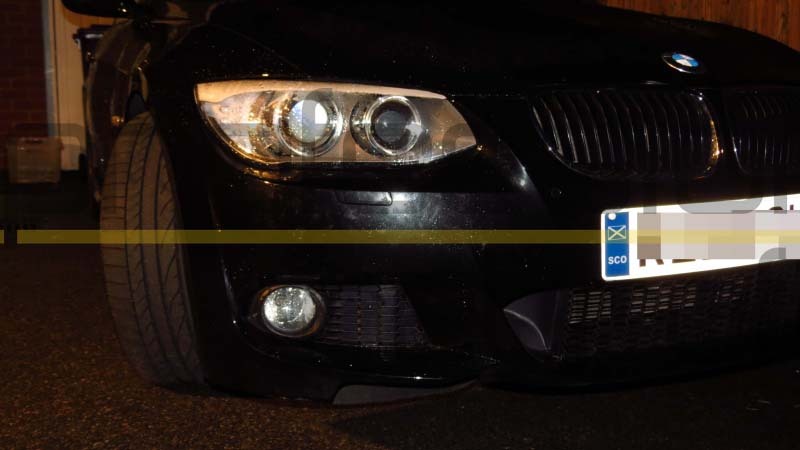 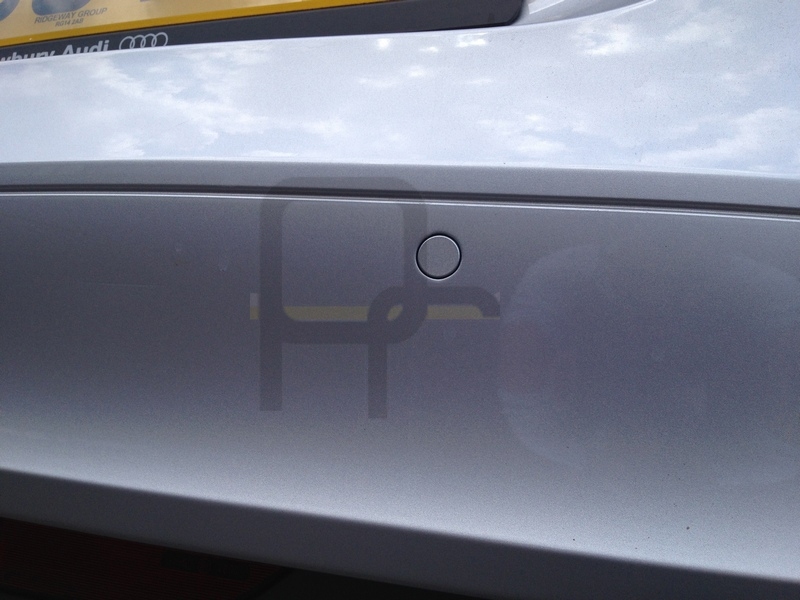 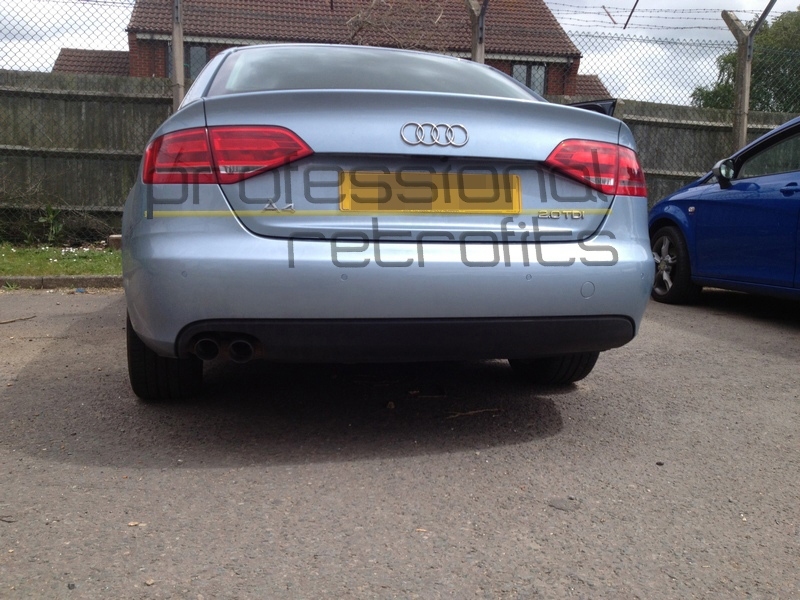 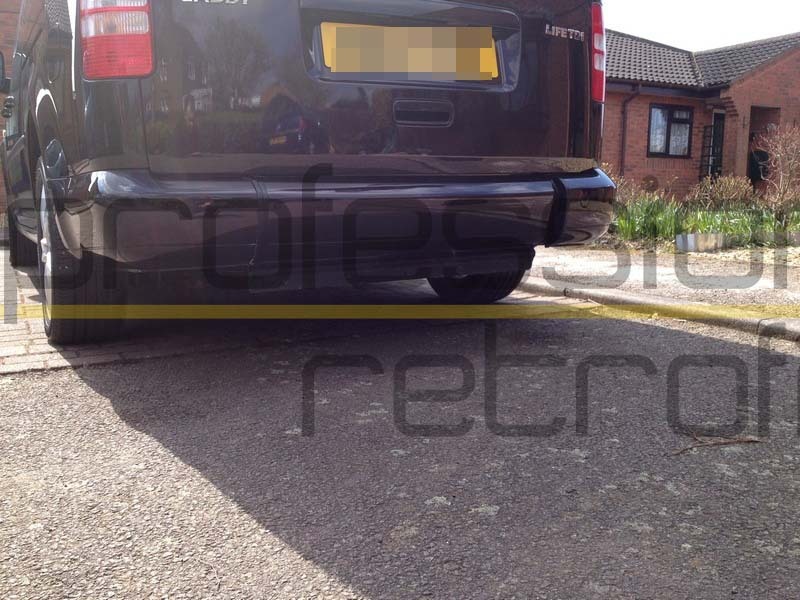 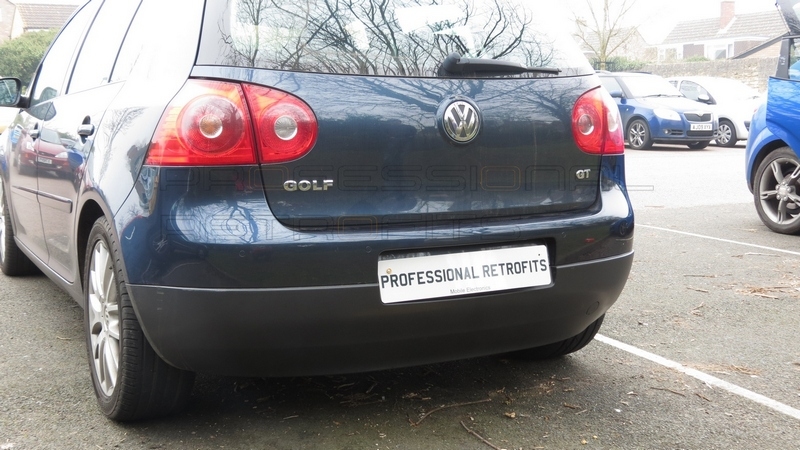 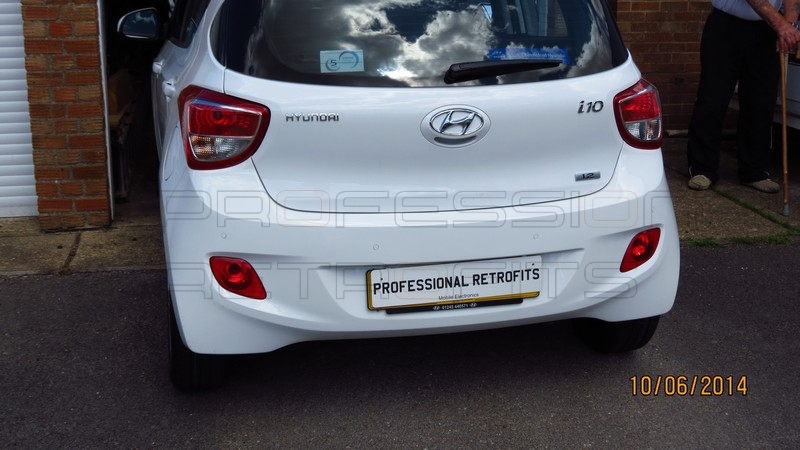 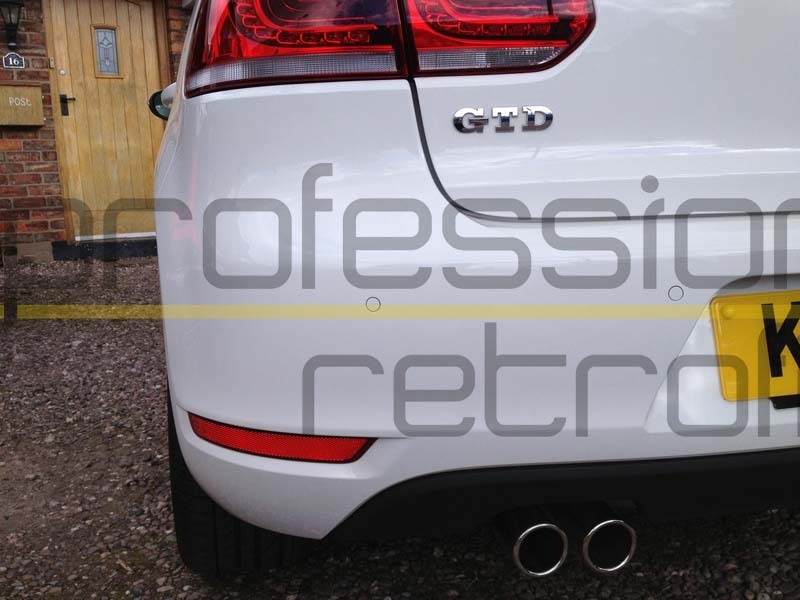 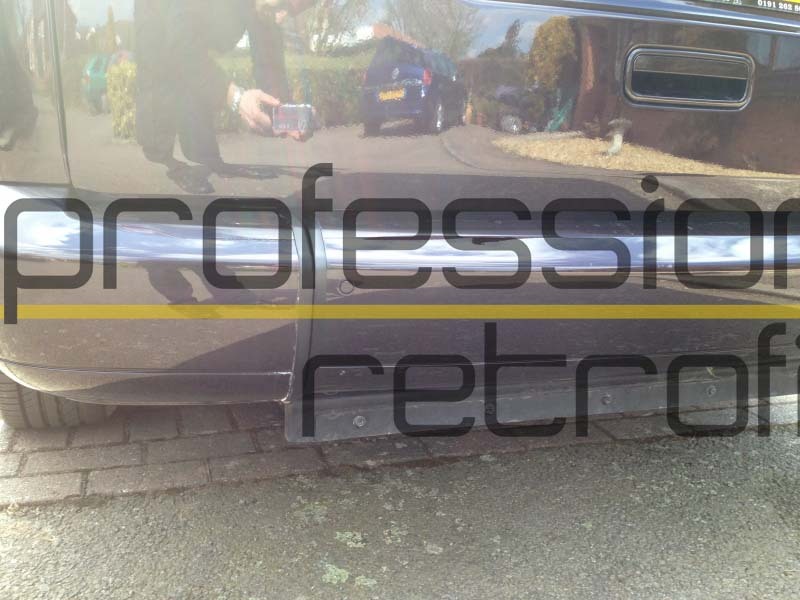 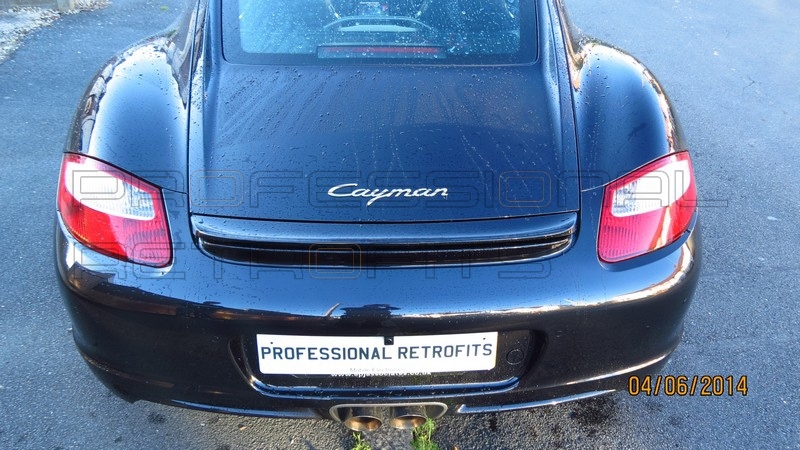 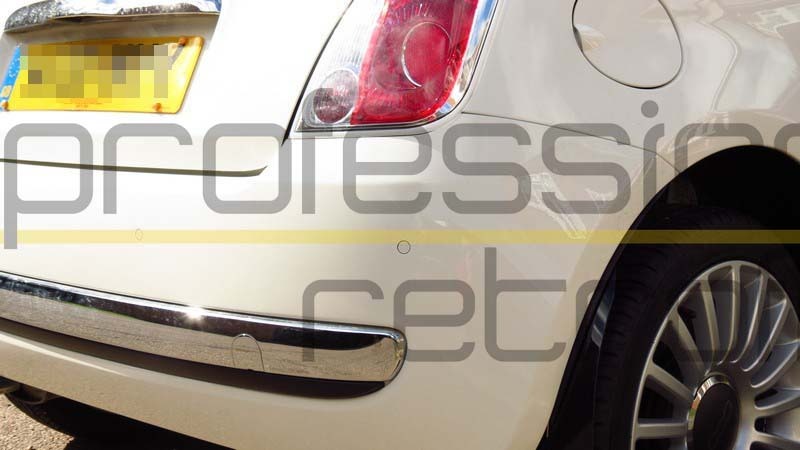 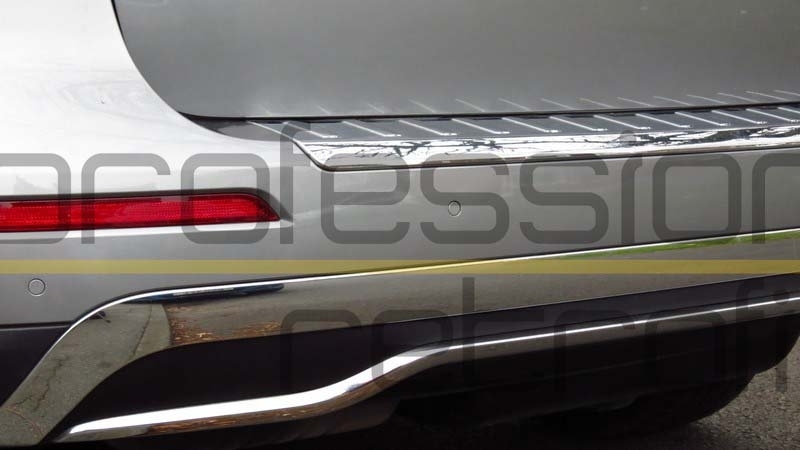 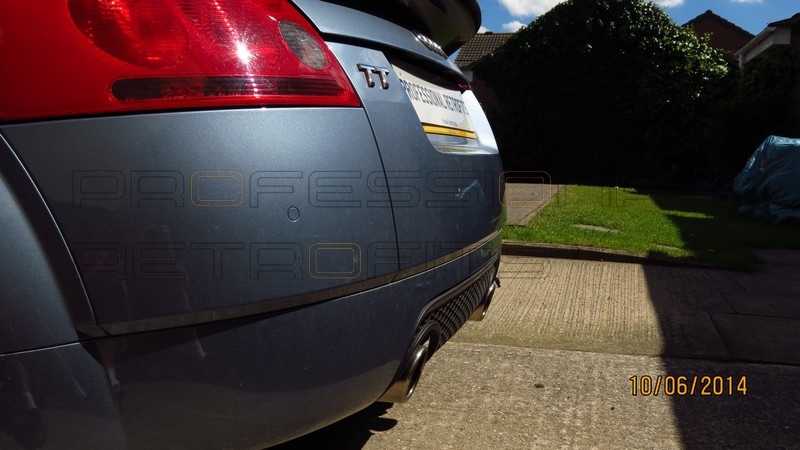 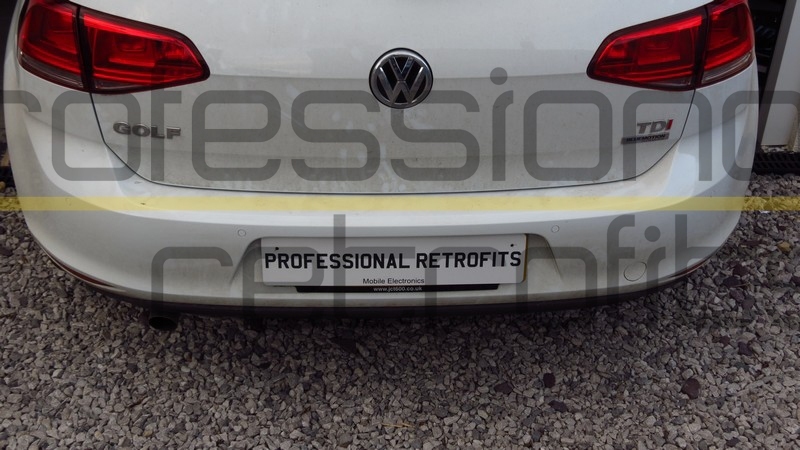 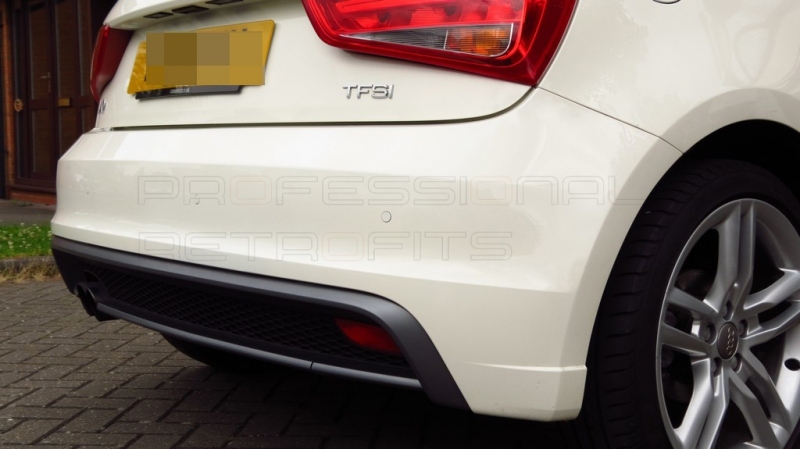 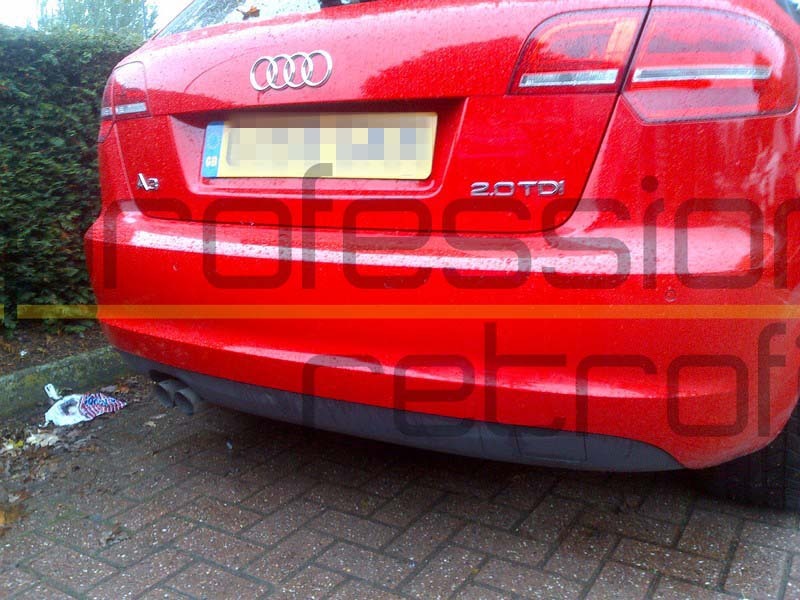 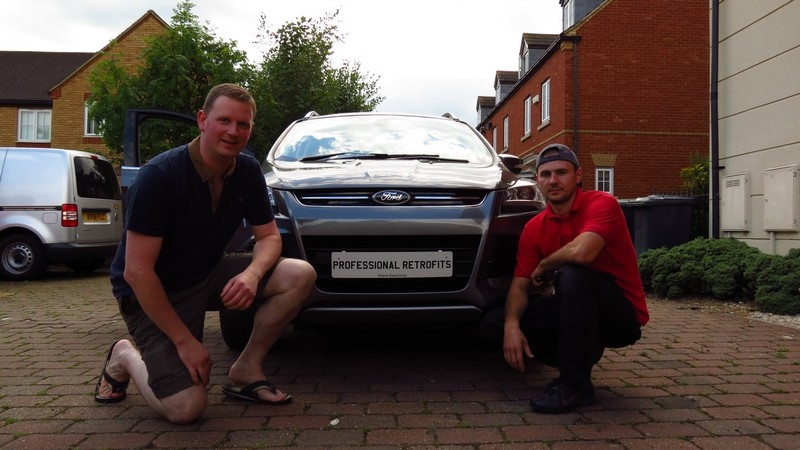 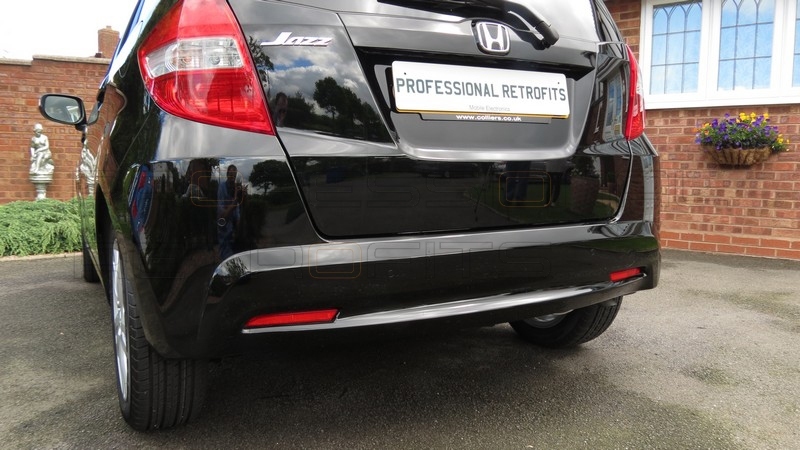 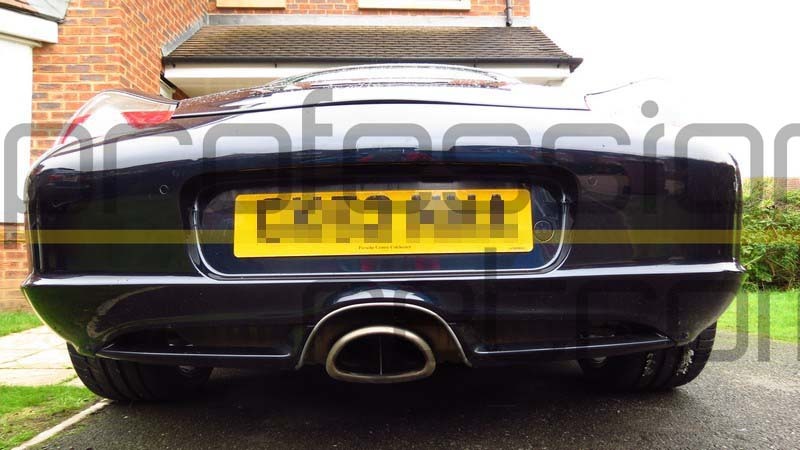 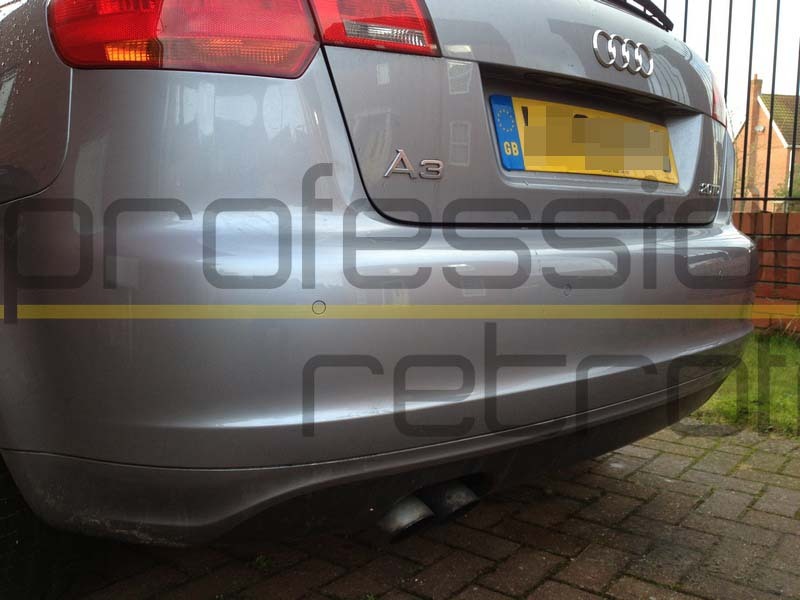 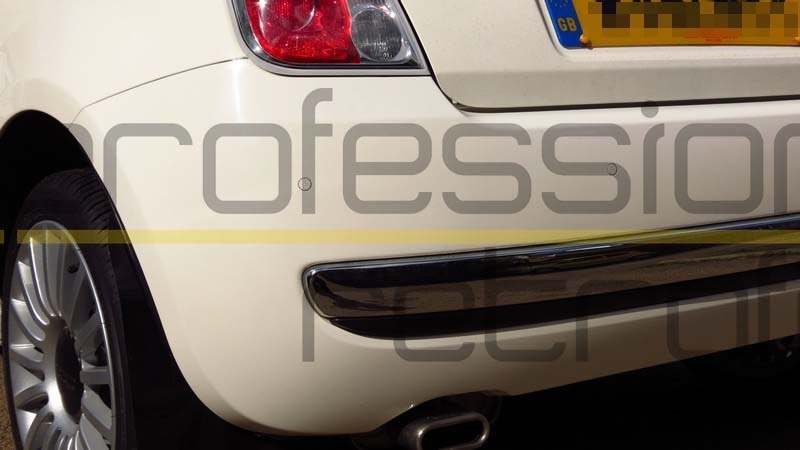 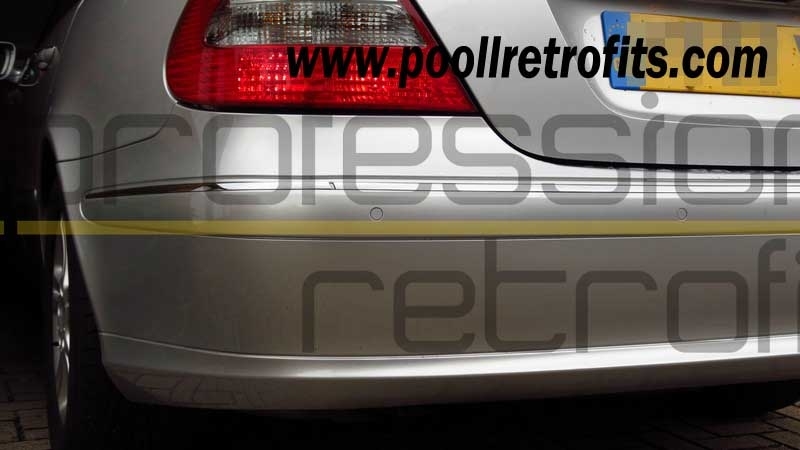 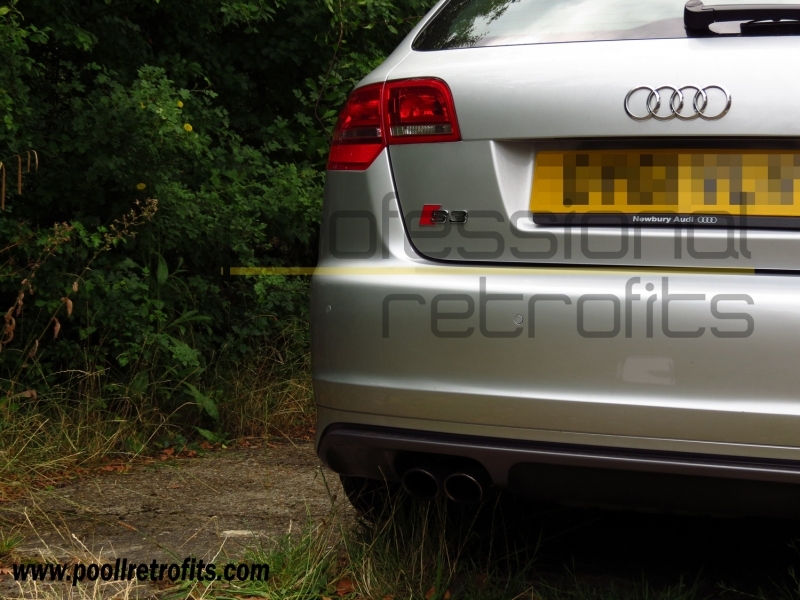 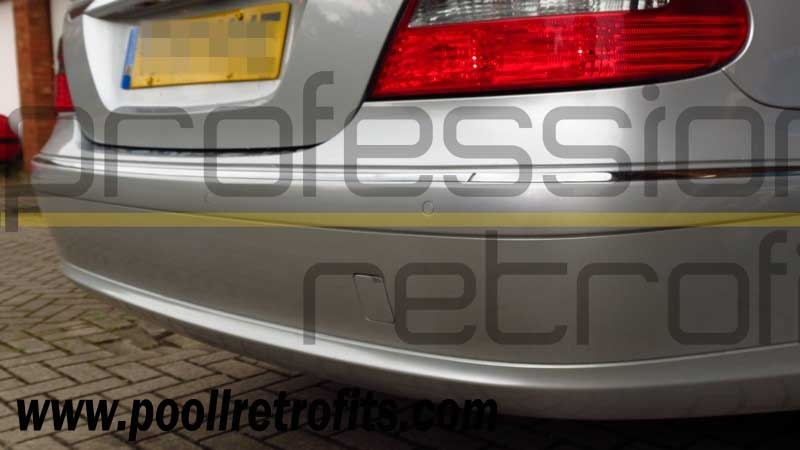 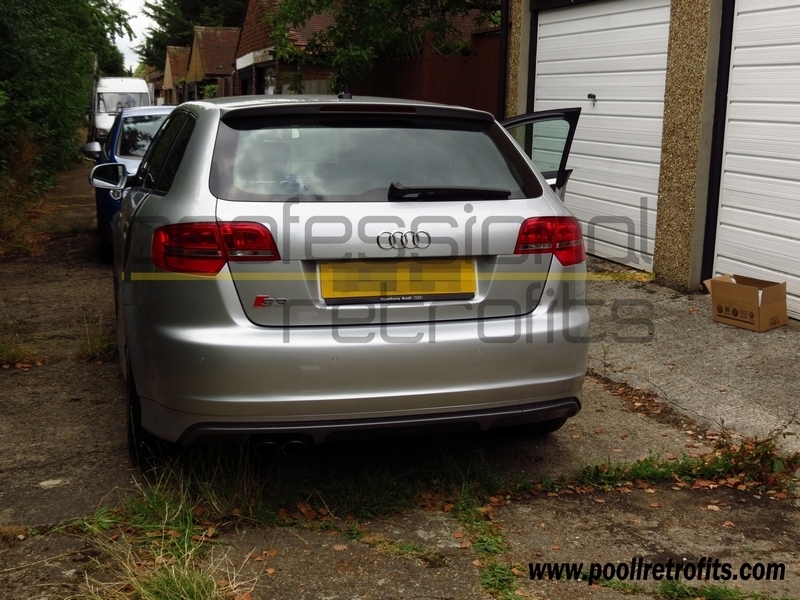 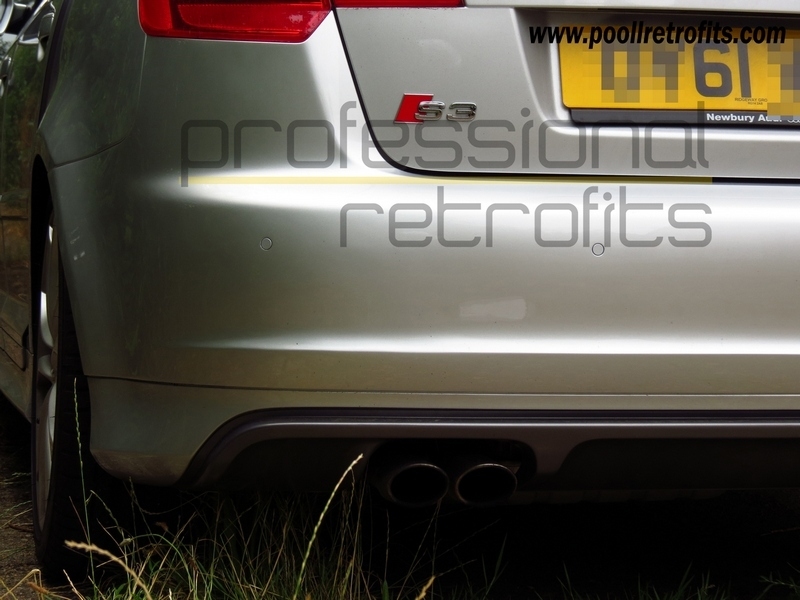 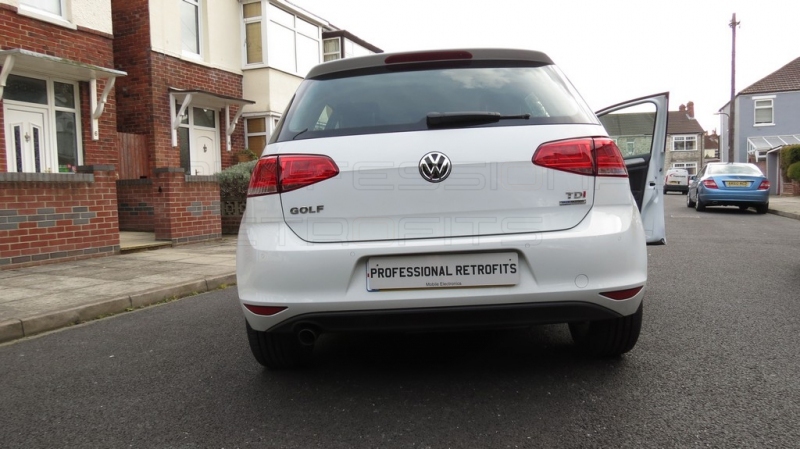 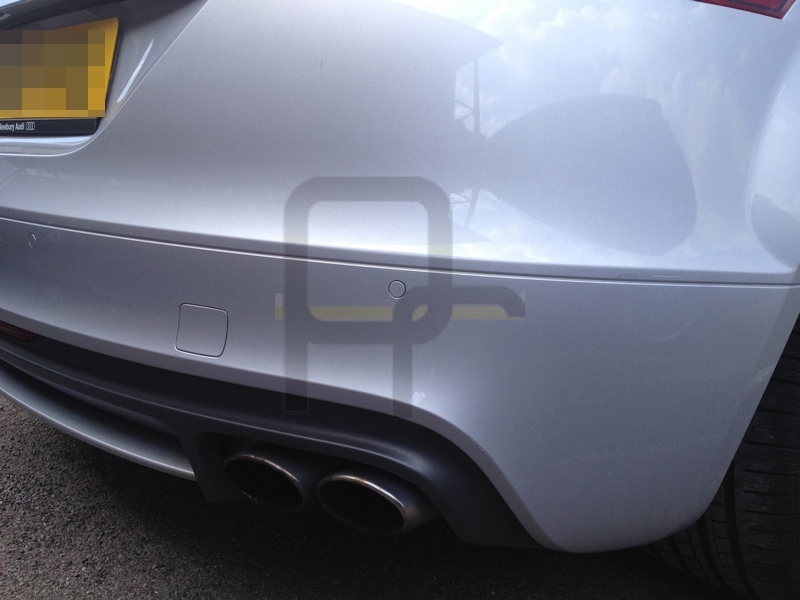 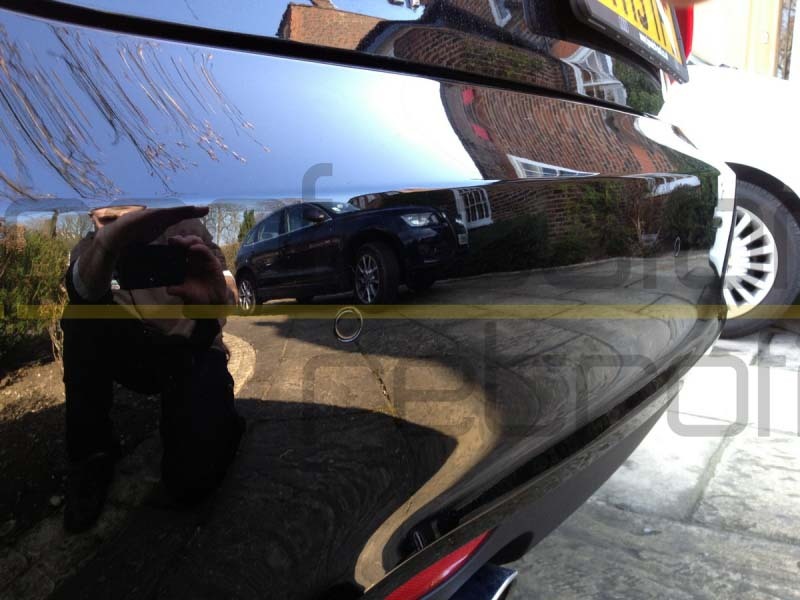 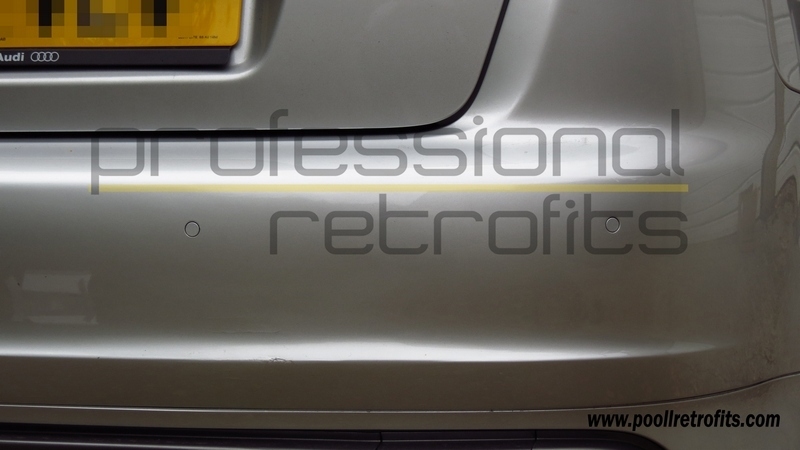 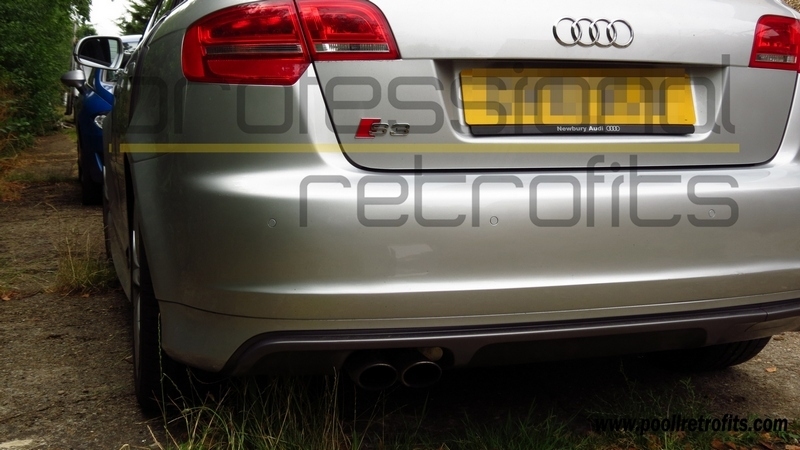 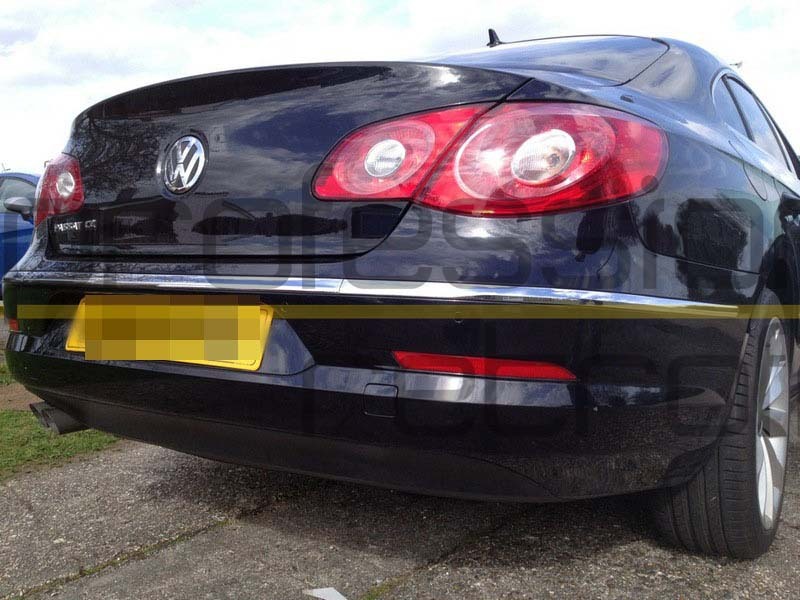 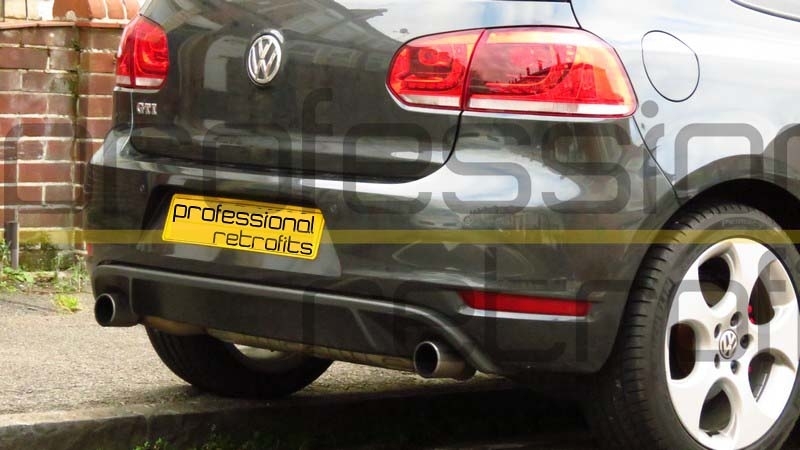 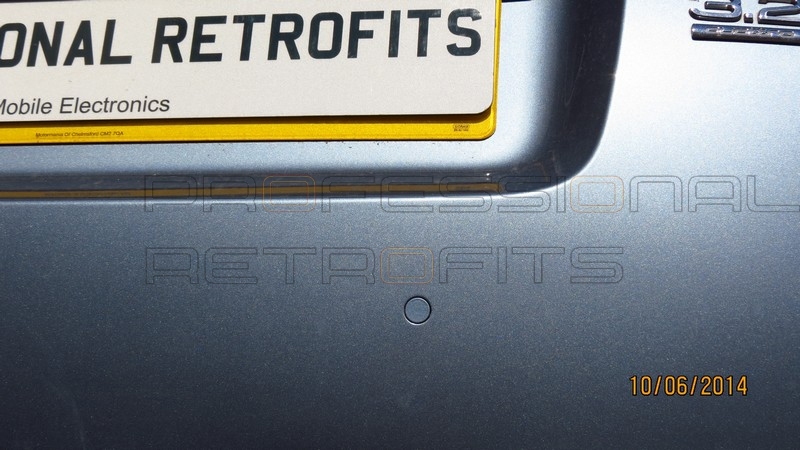 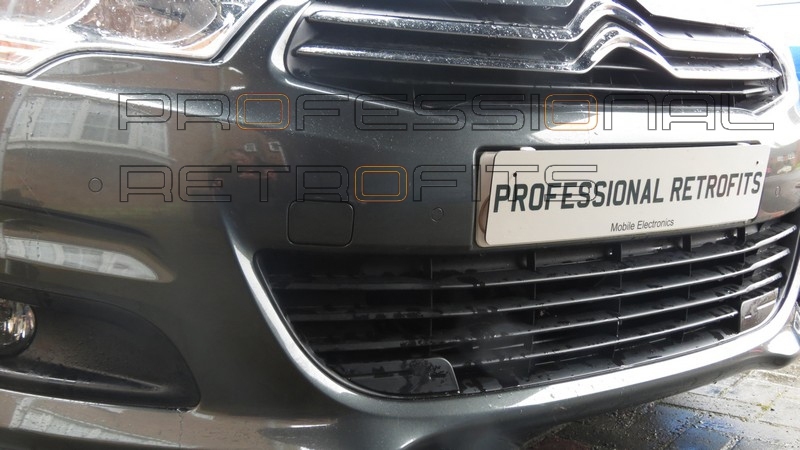 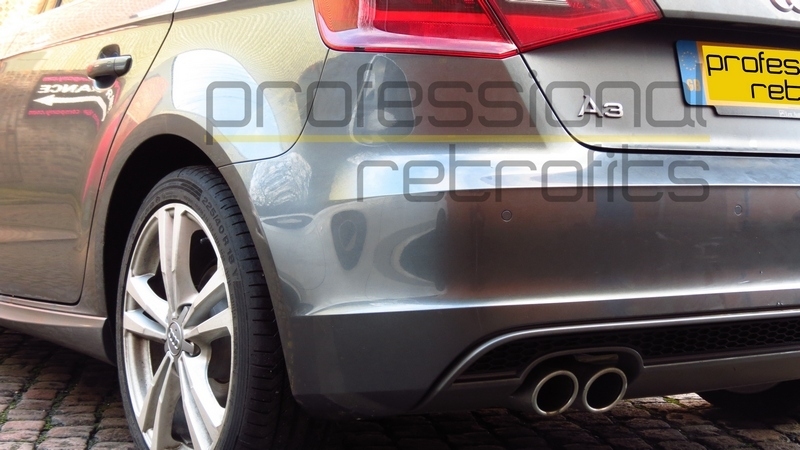 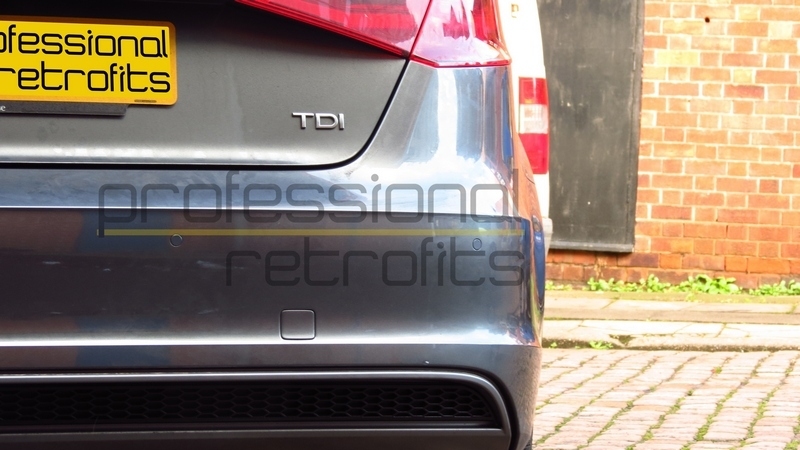 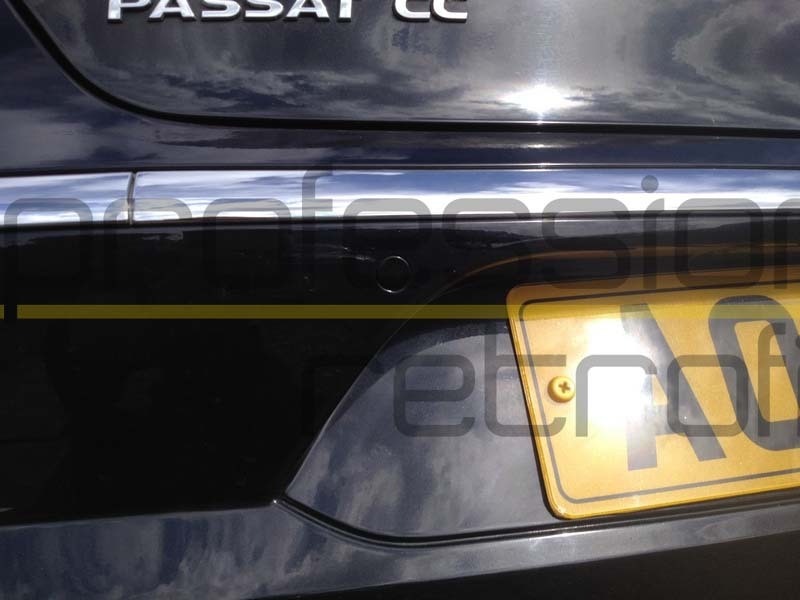 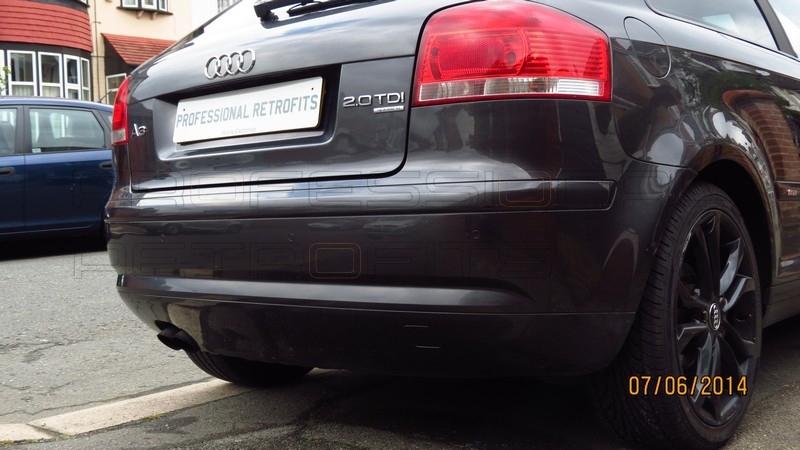 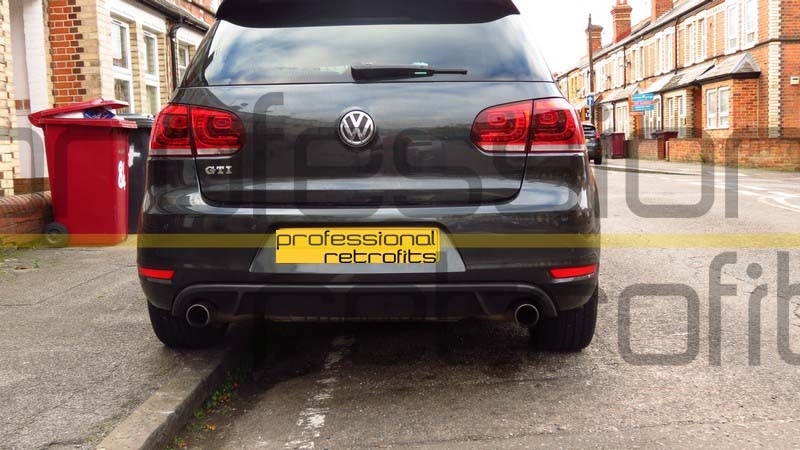 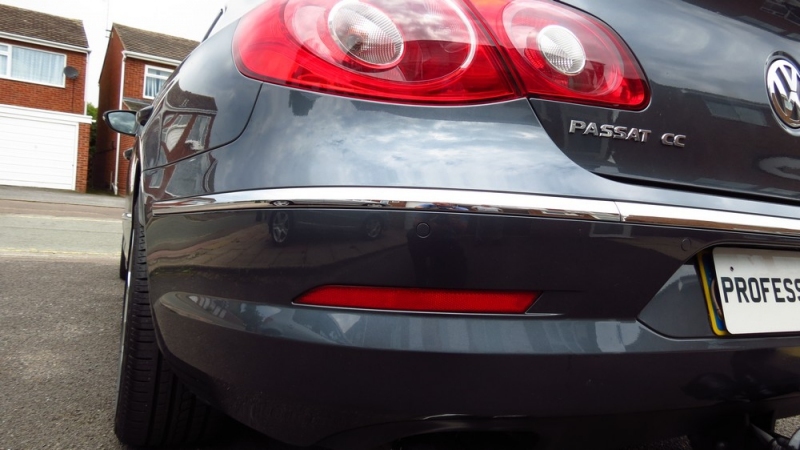 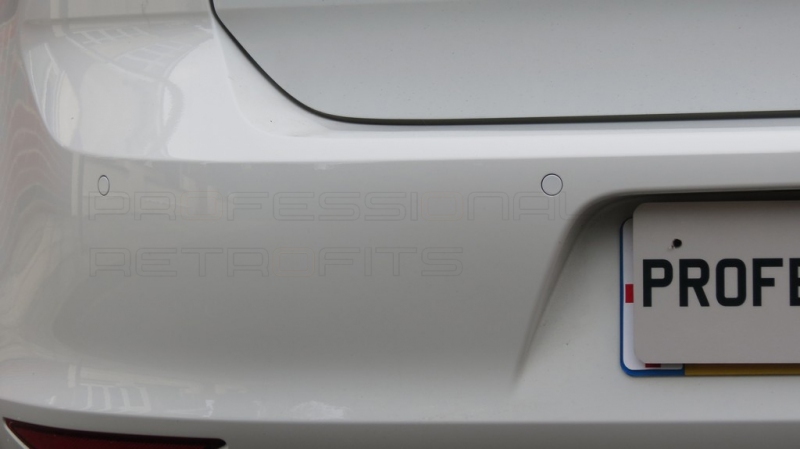 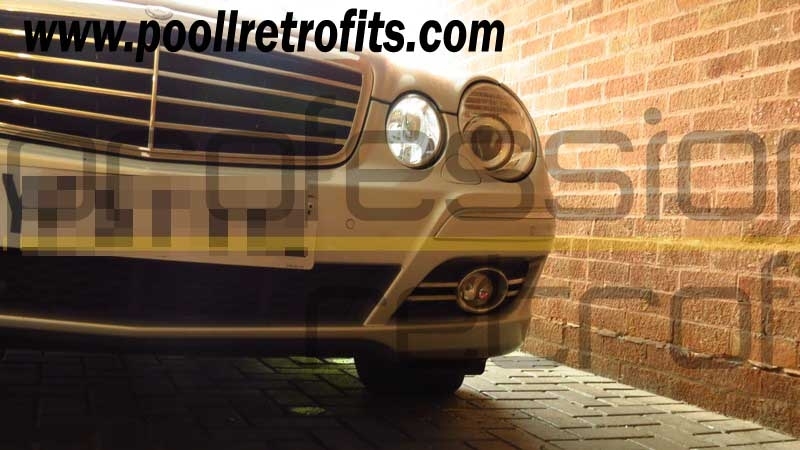 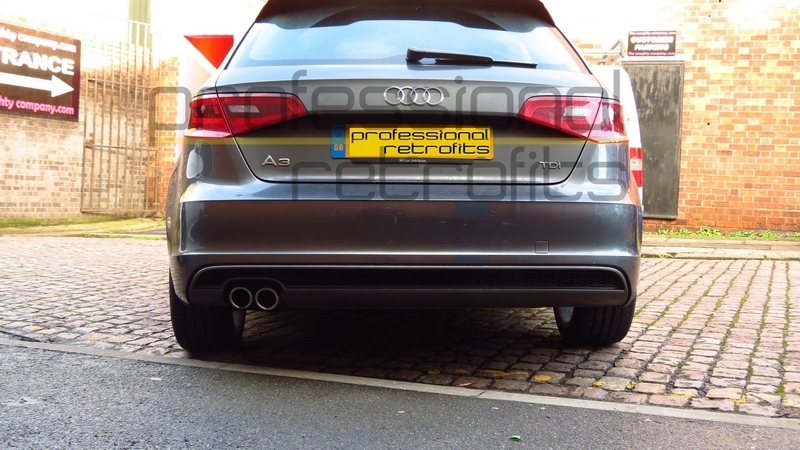 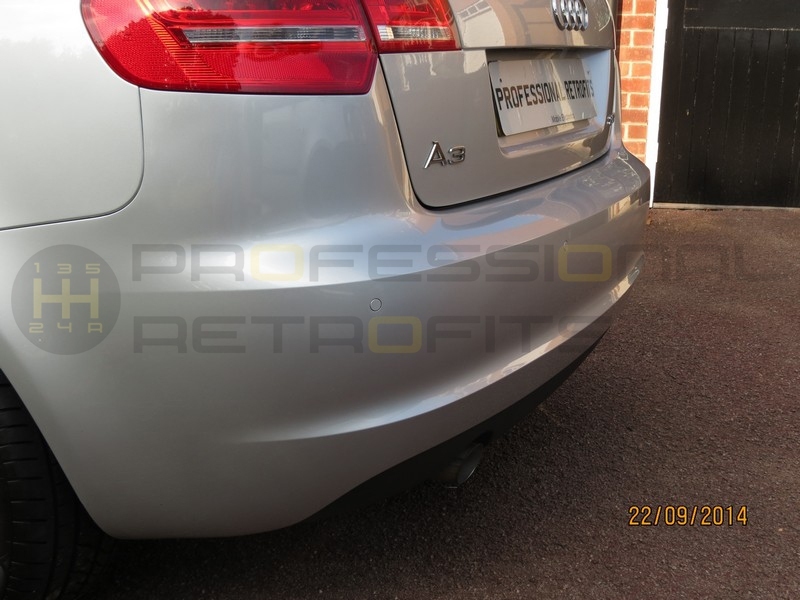 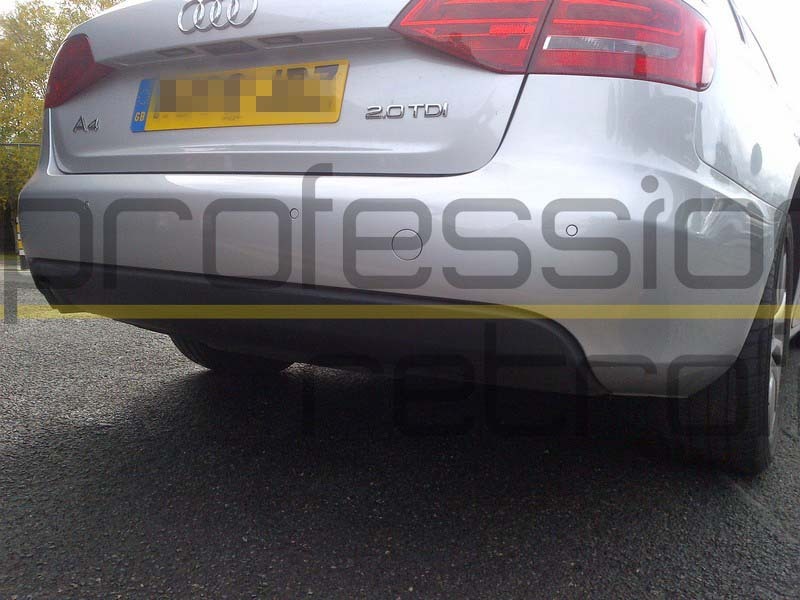 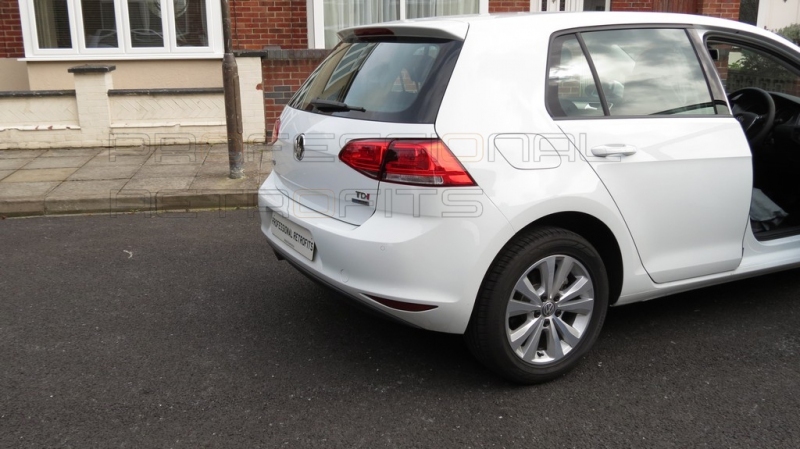 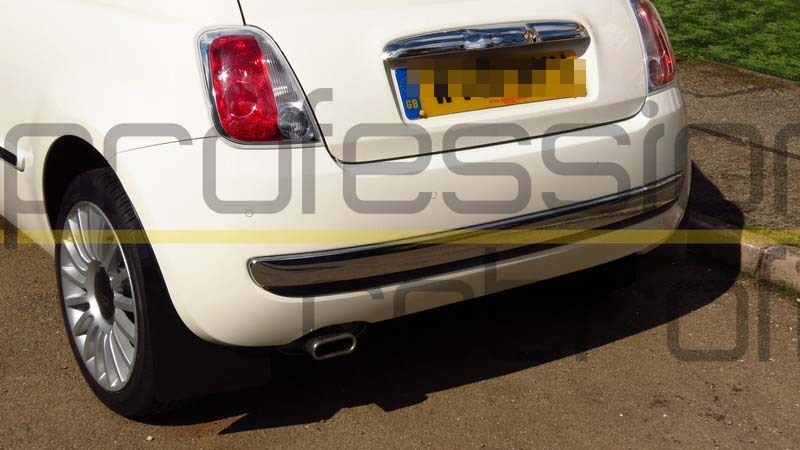 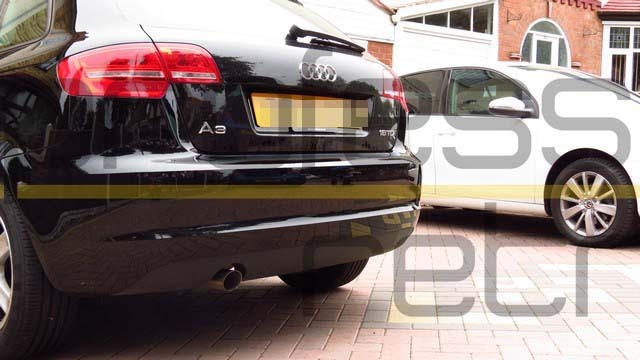 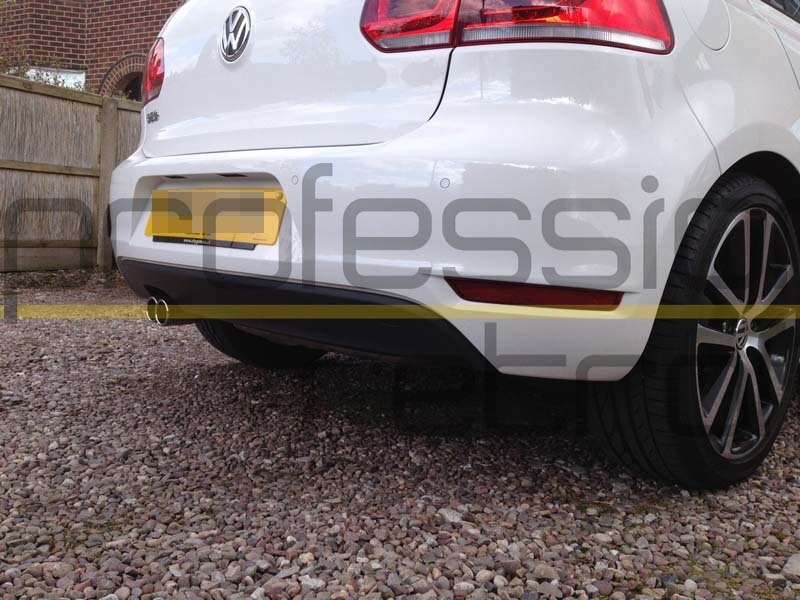 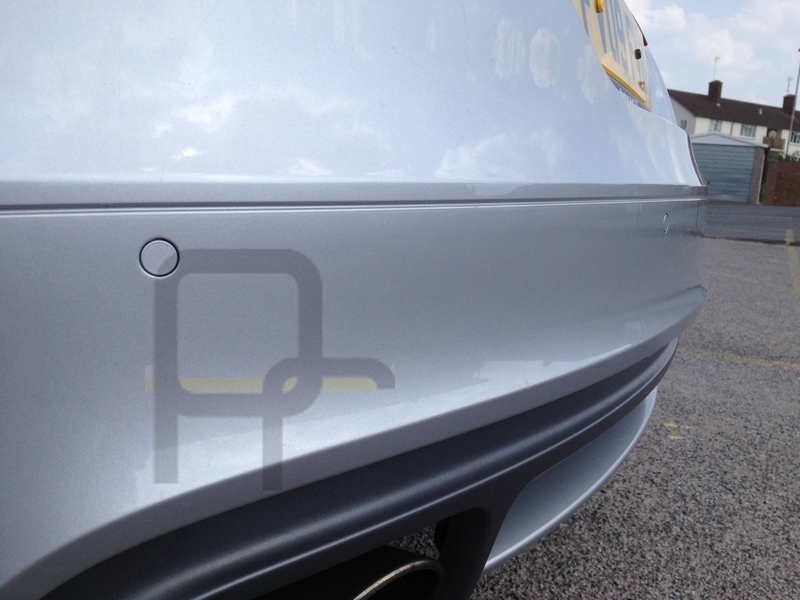 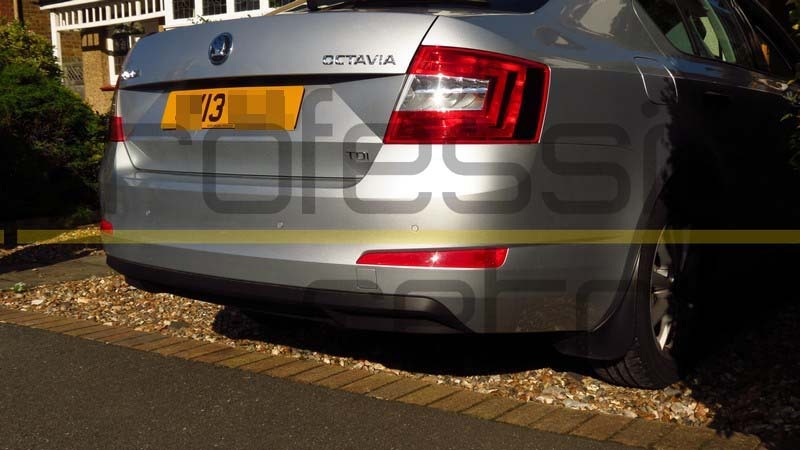 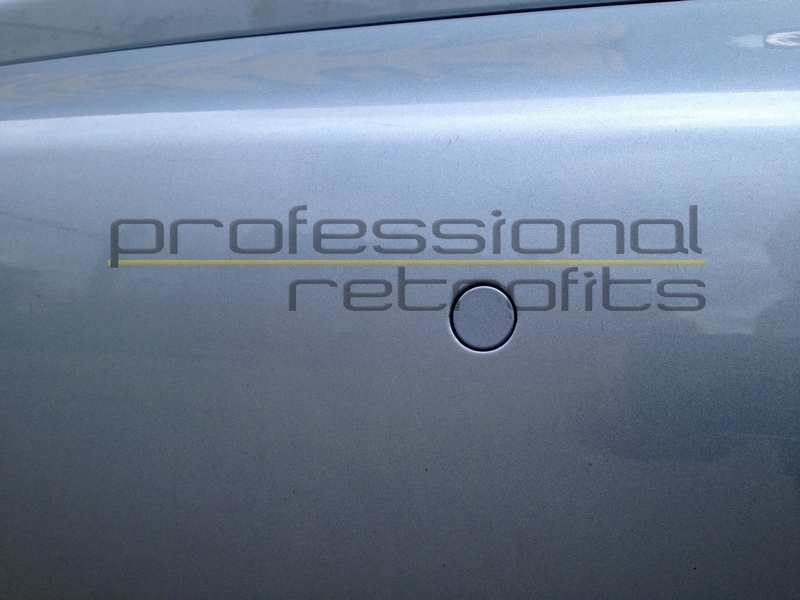 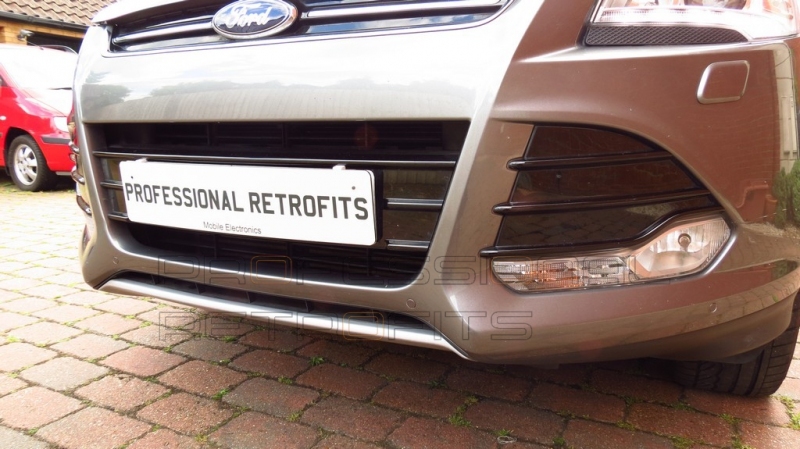 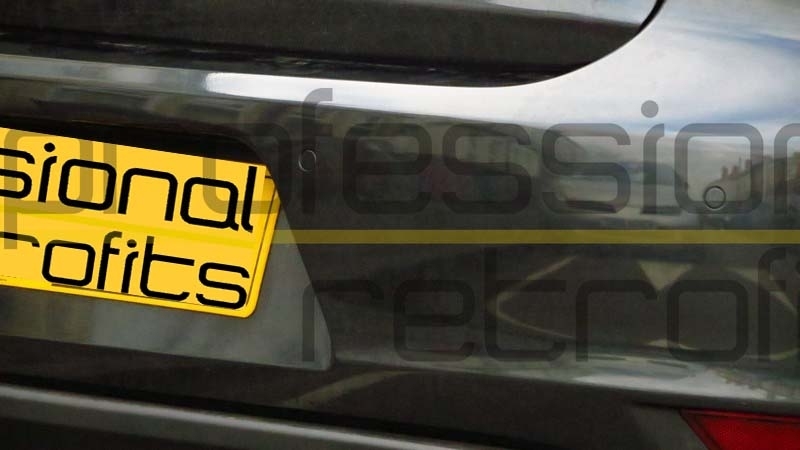 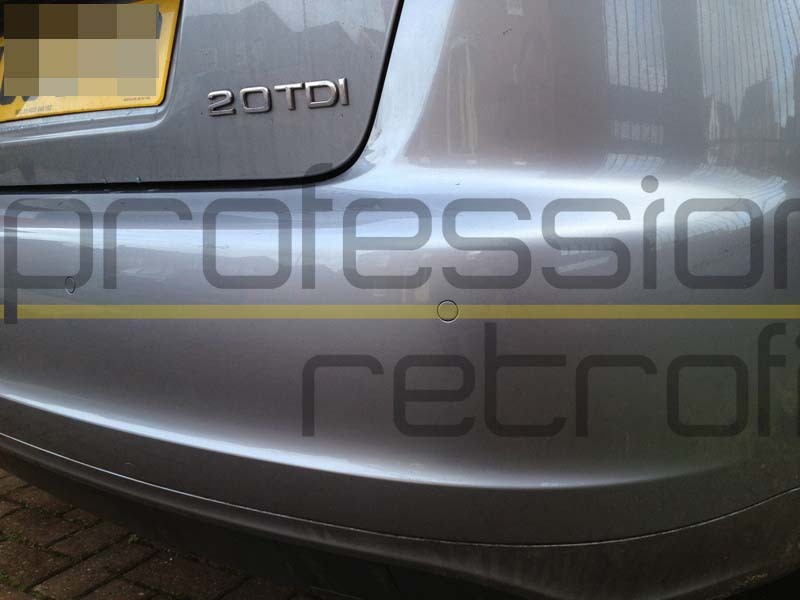 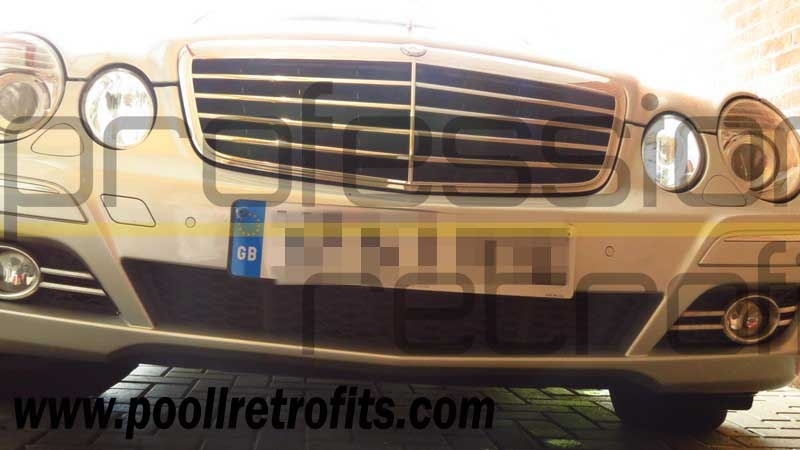 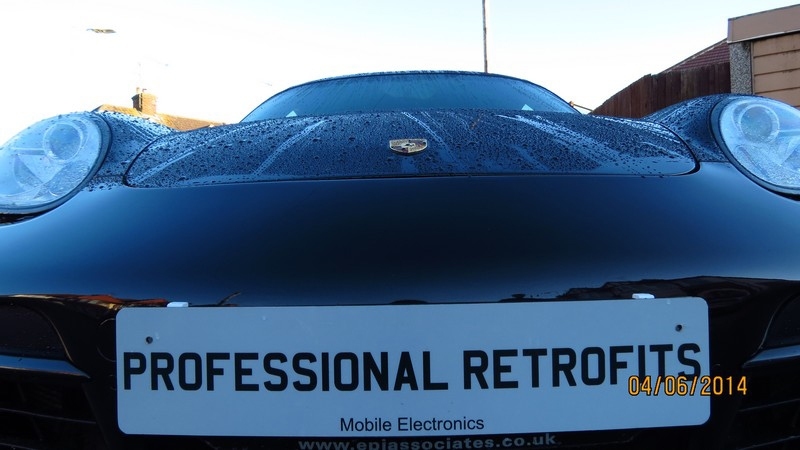 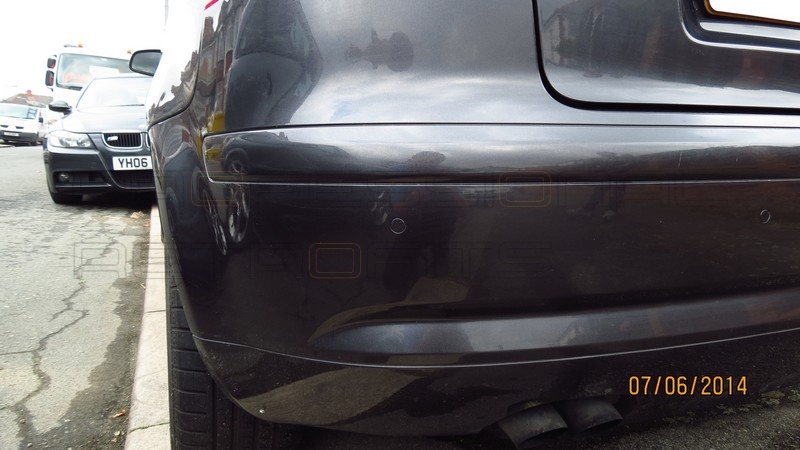 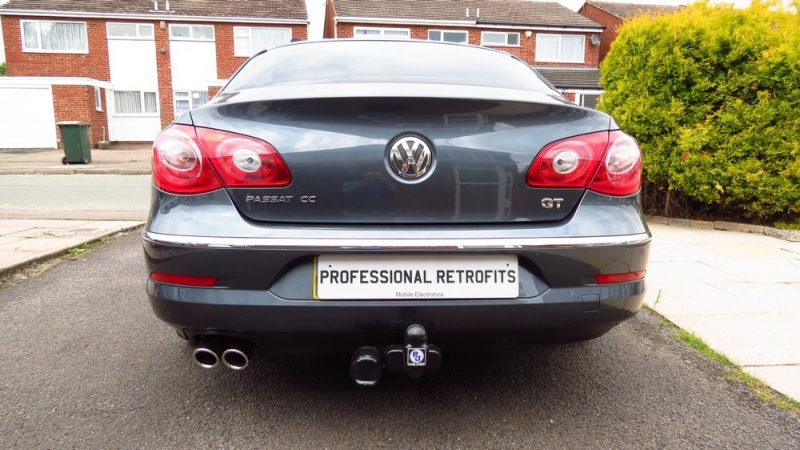 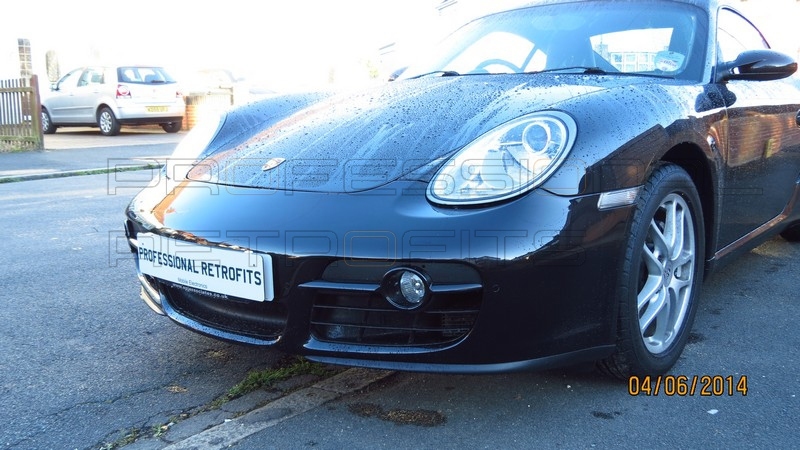 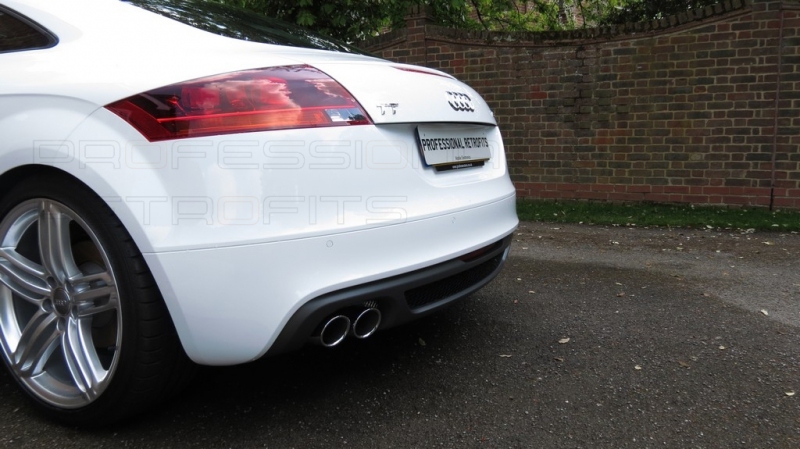 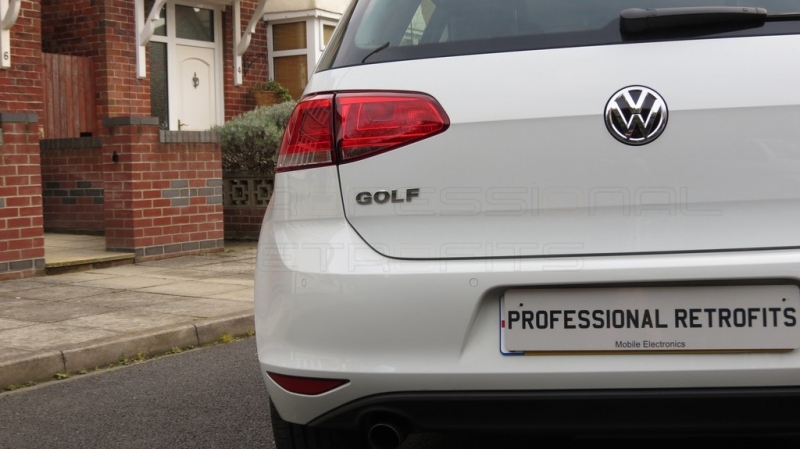 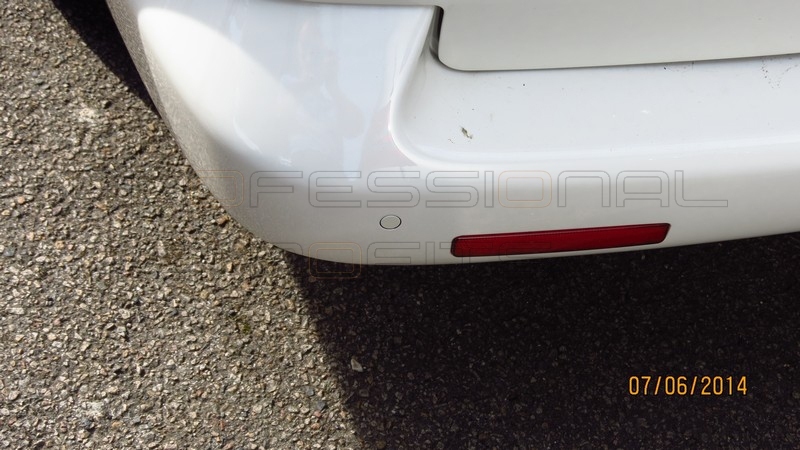 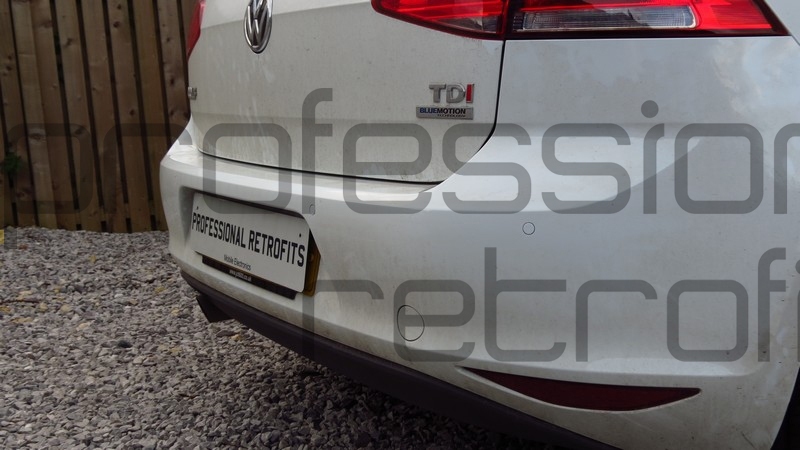 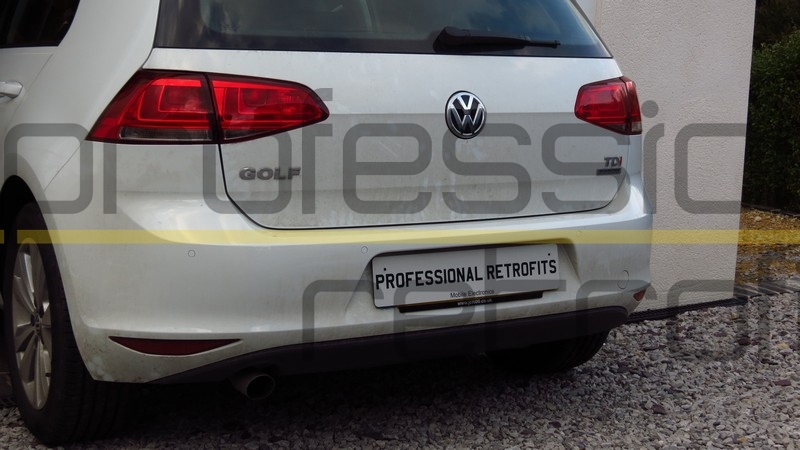 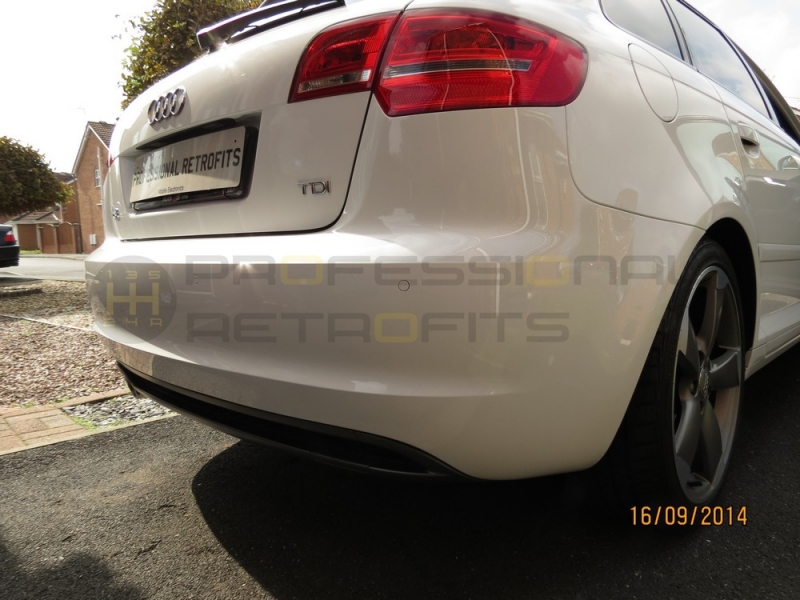 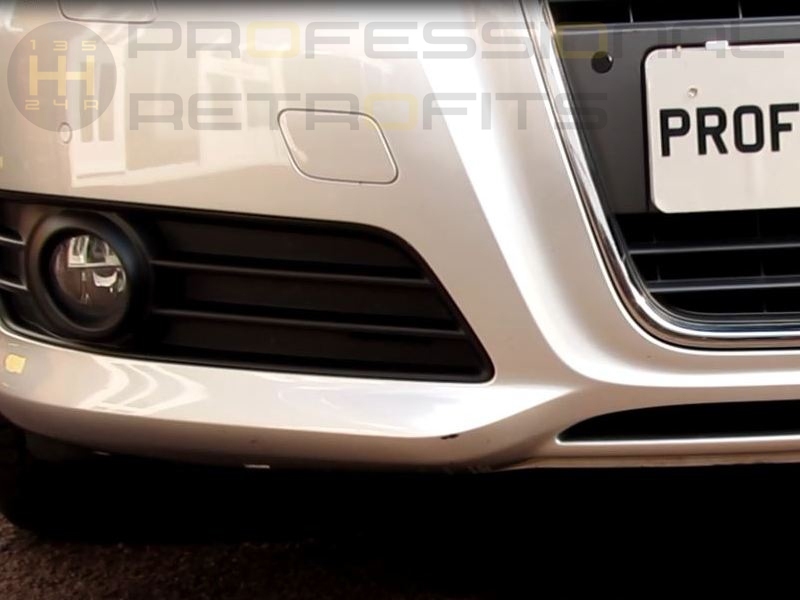 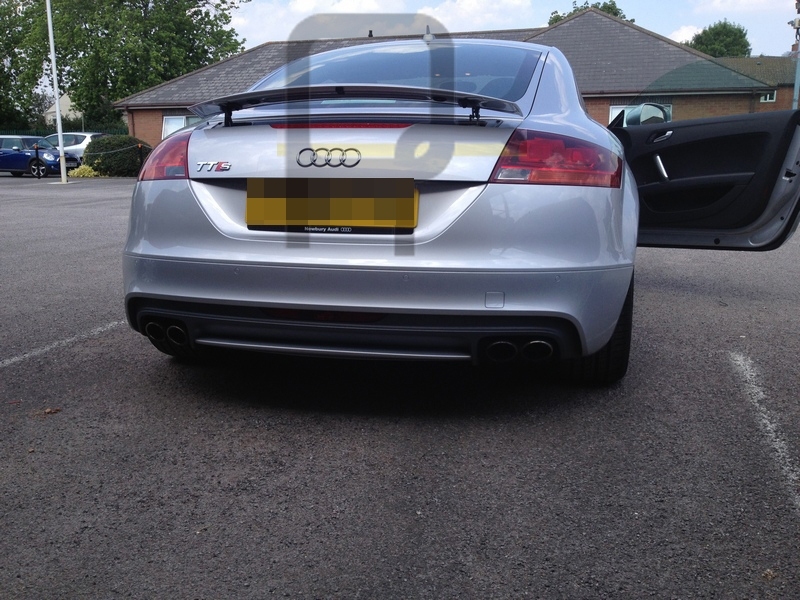 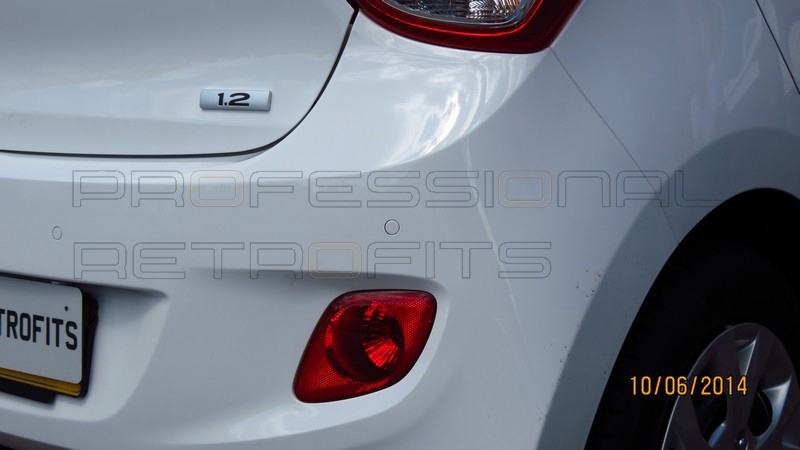 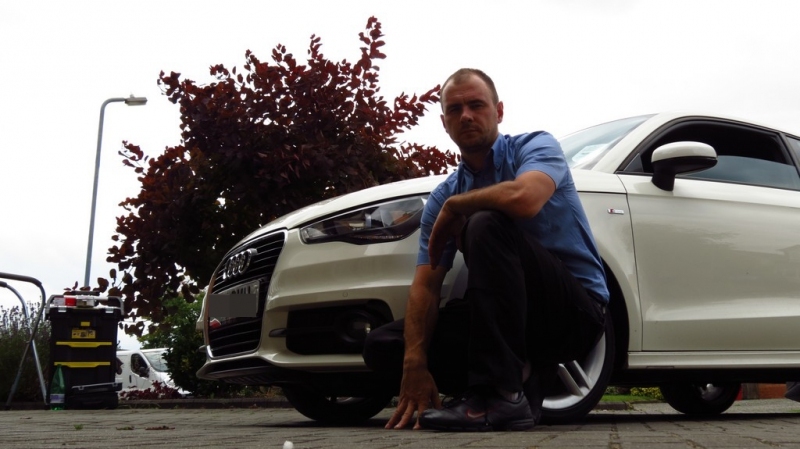 Front Parking Sensors activate with ignition or engine on. 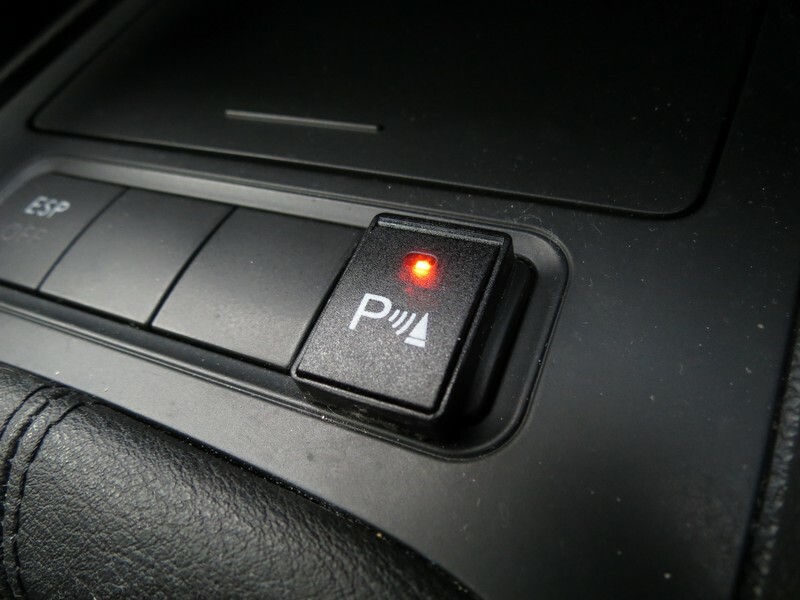 The buzzer will beep once and The LED light on the on/off switch turns on. 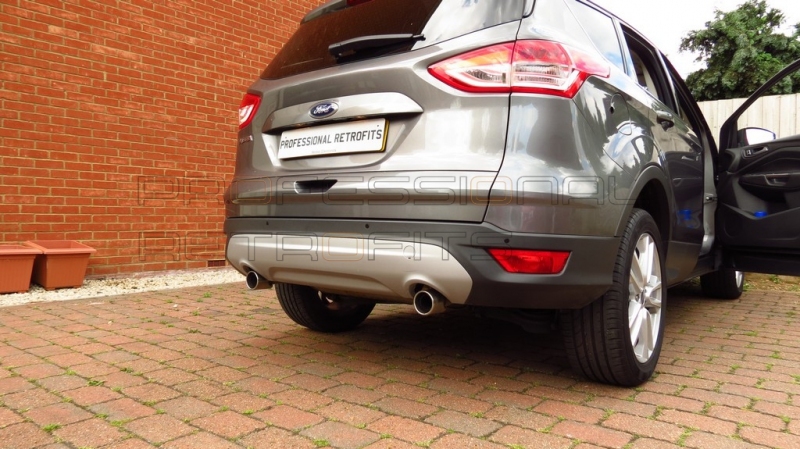 Front parking sensors also activate with reverse gear. 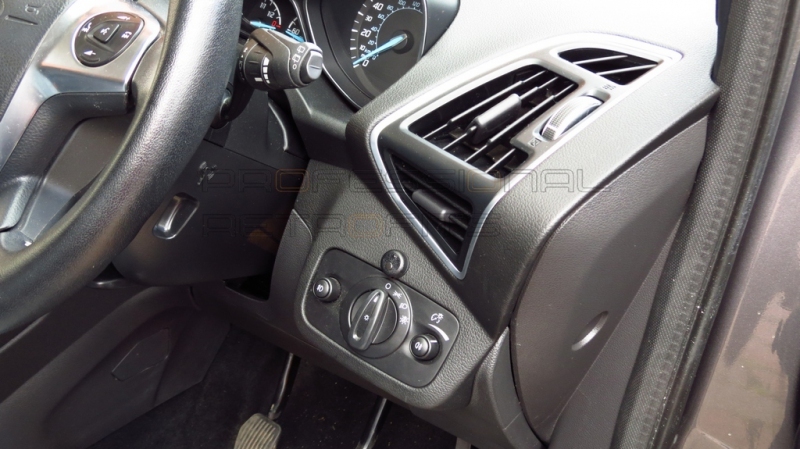 It will remain active as long as reverse gear is selected. 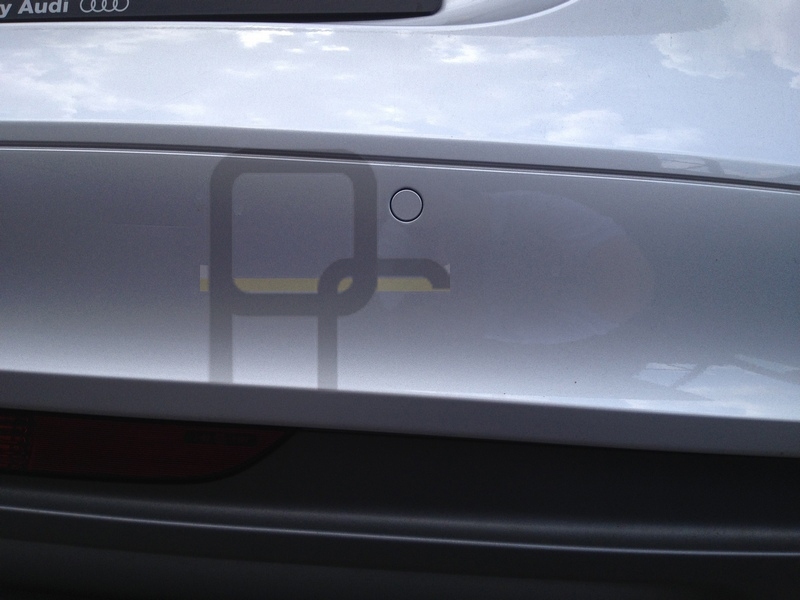 After activation, if front system does not detect an obstacle within 10s-60s it deactivates. 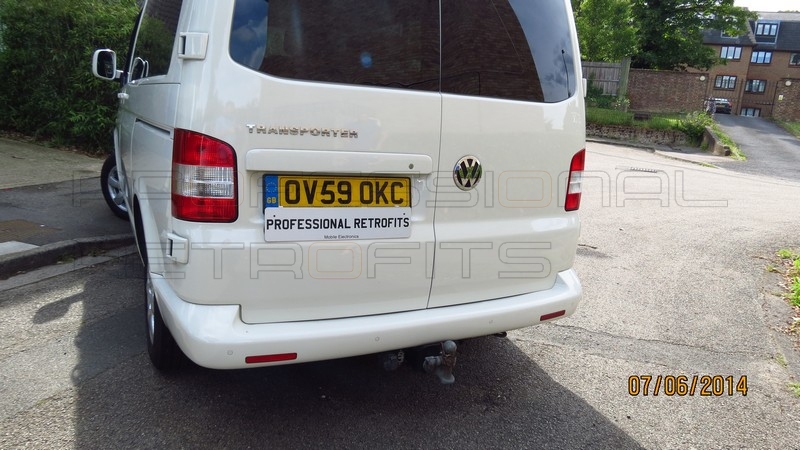 Time out can be set to 10s or 60s. 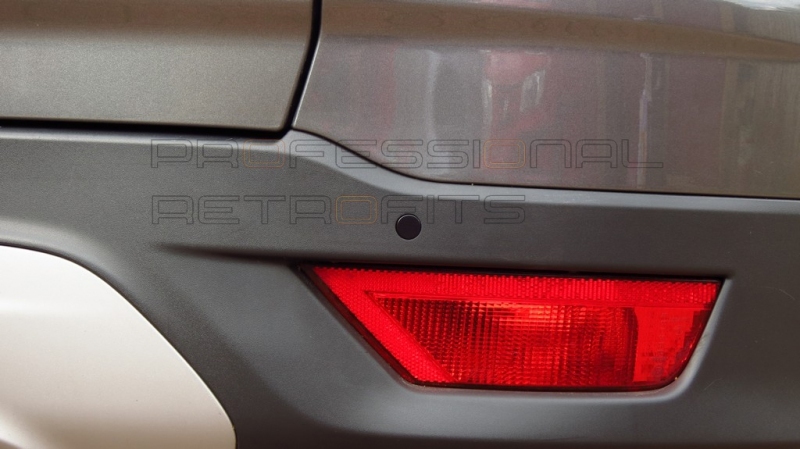 The LED light on the small on/off switch will be dimmed when system is deactivated. 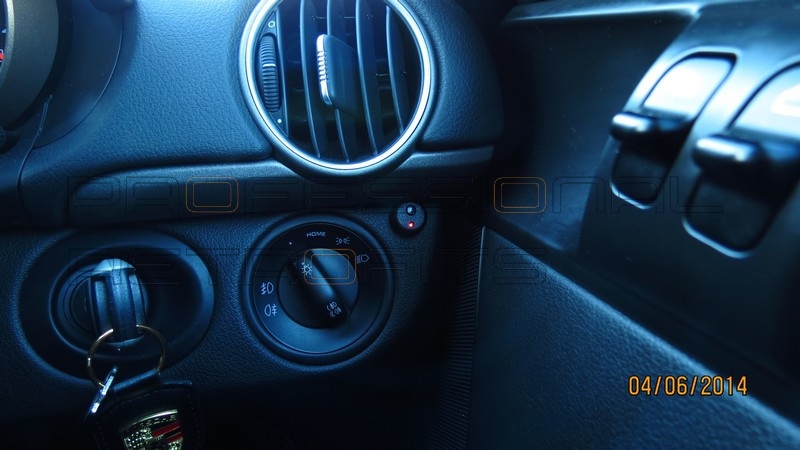 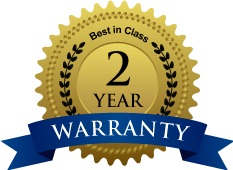 The system will reactivate by either, engaging reverse gear, pressing the switch or turning the ignition/engine of and back on. 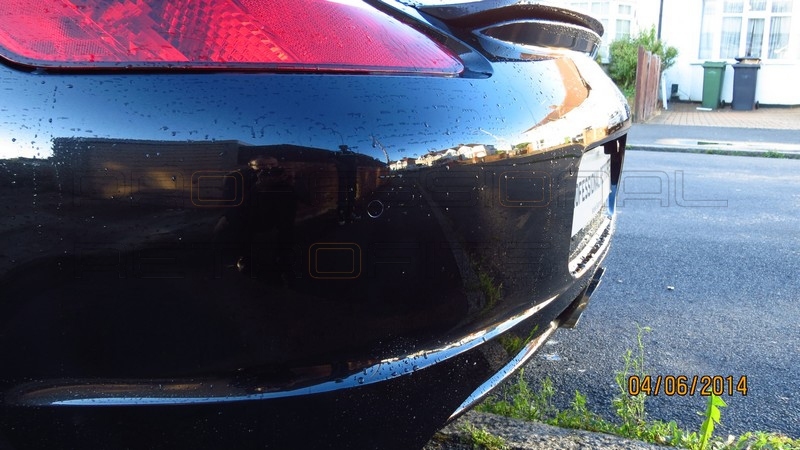 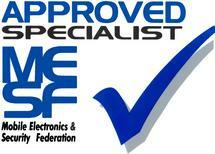 Tone of both buzzers is different, so it is easily to tell which system is beeping, front or rear. 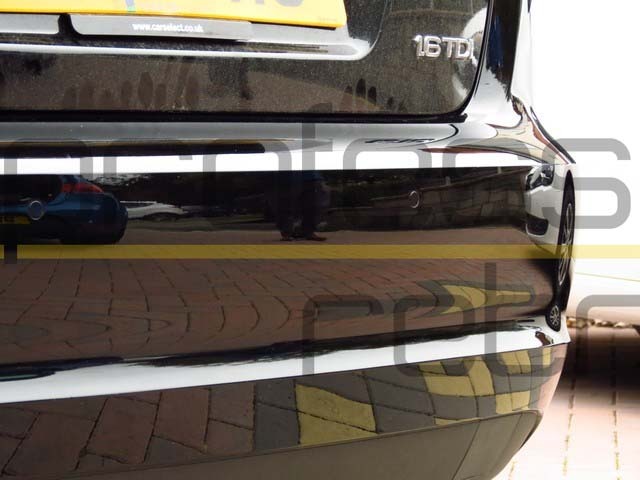 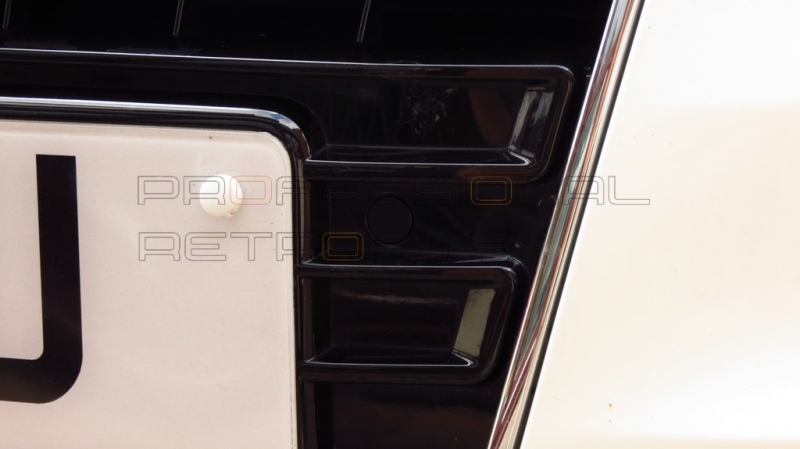 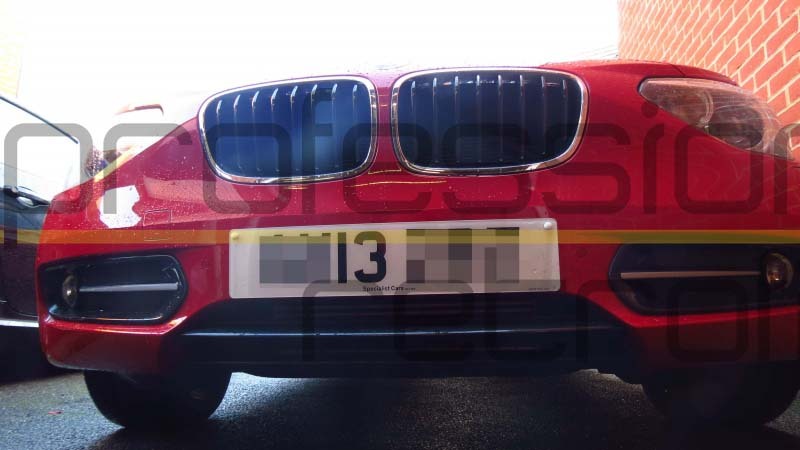 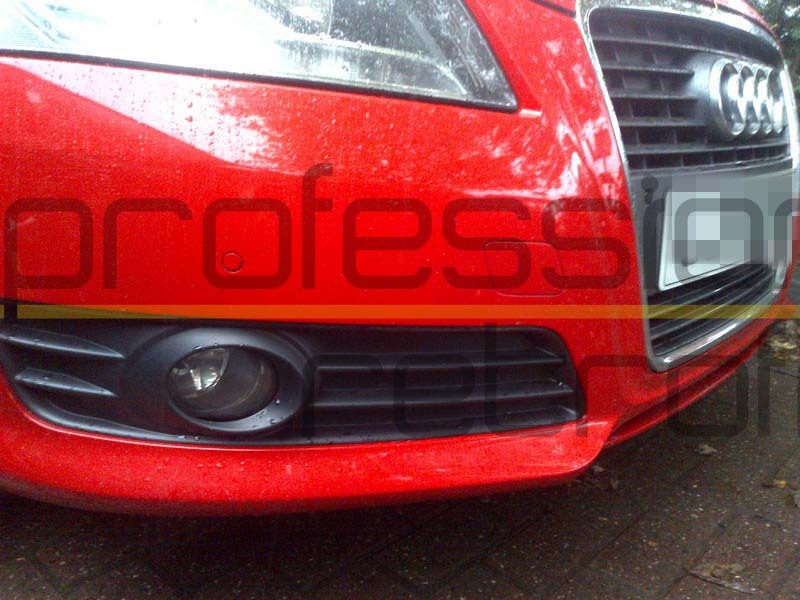 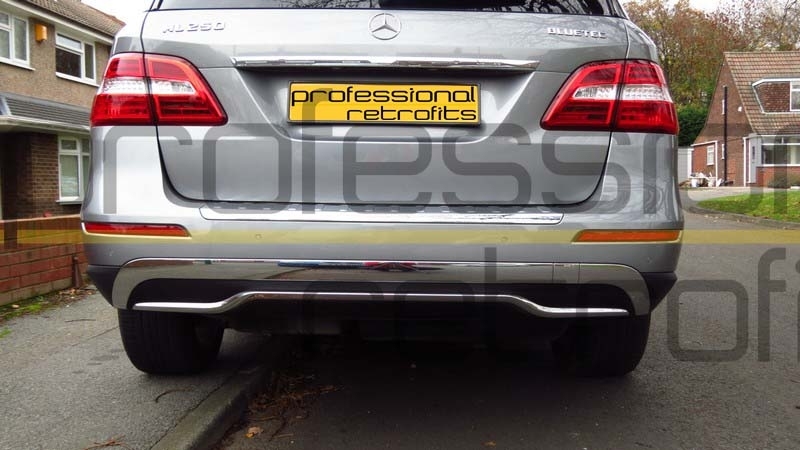 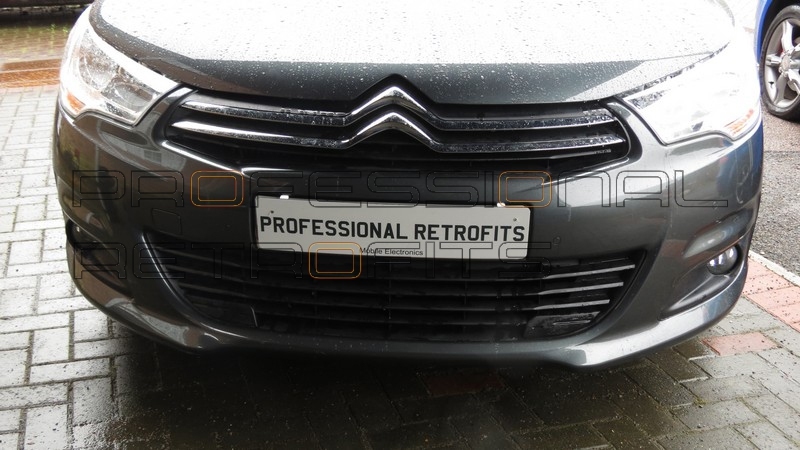 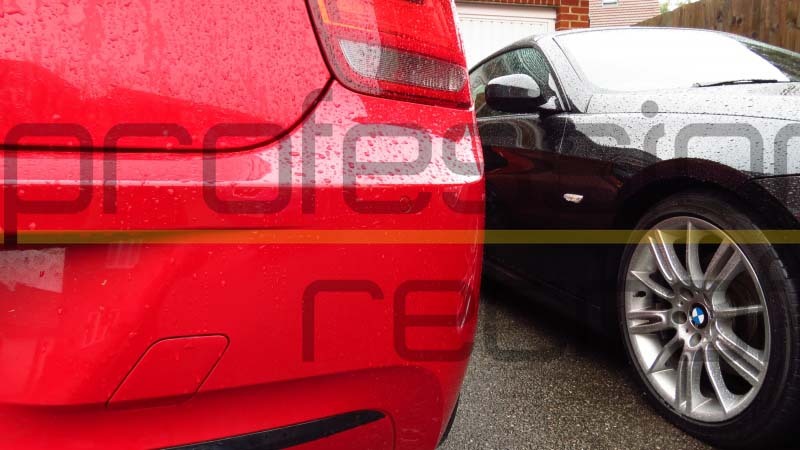 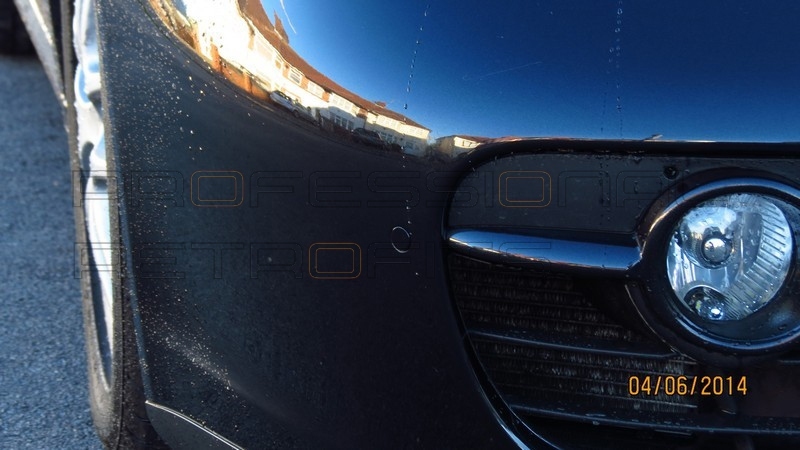 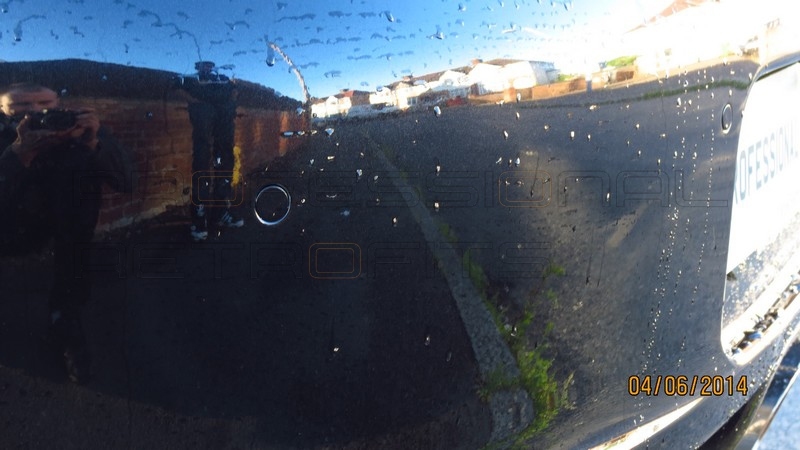 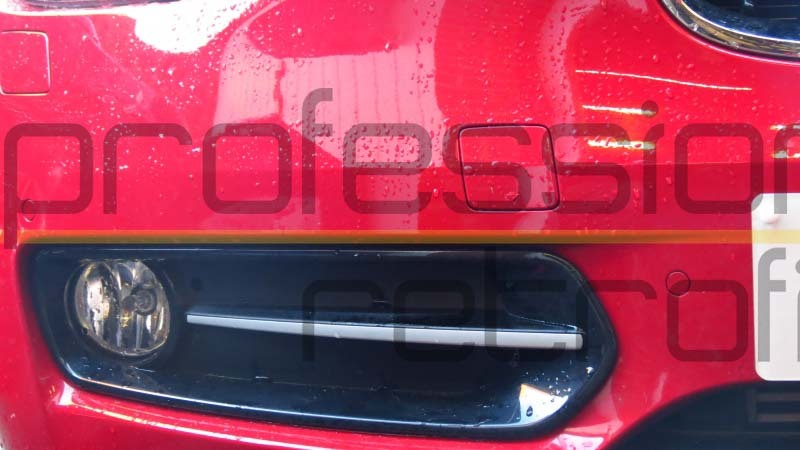 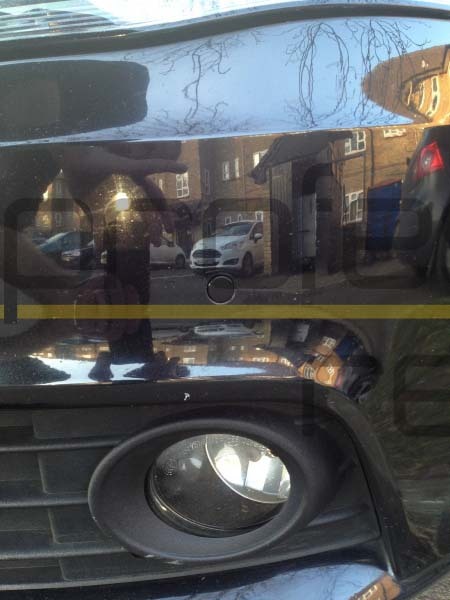 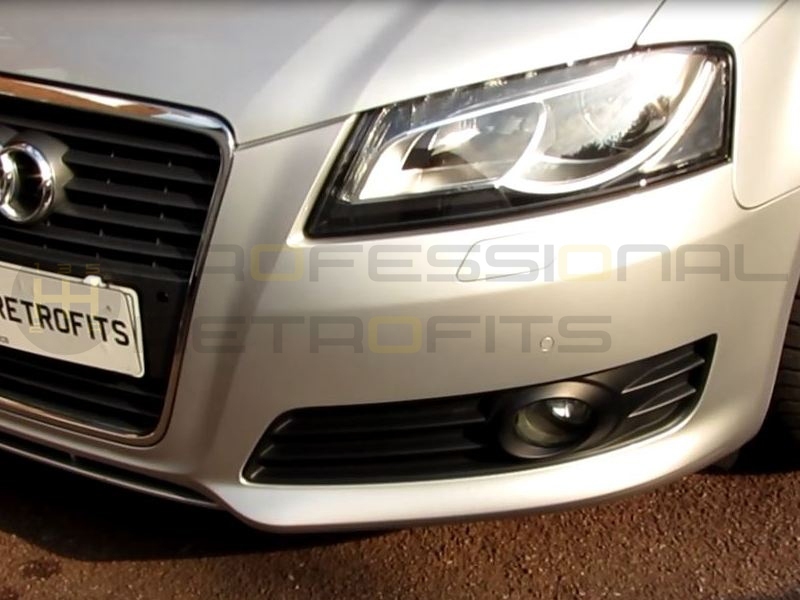 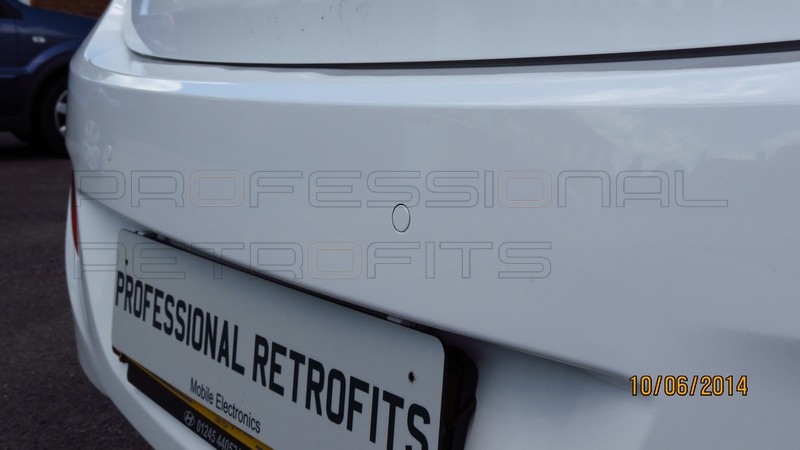 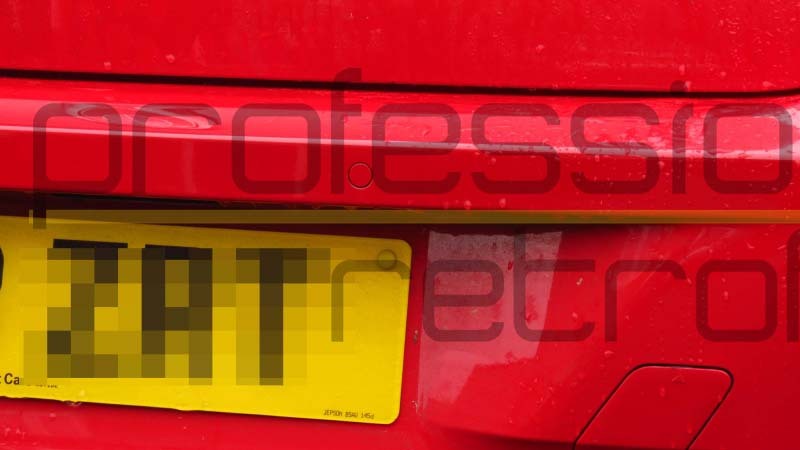 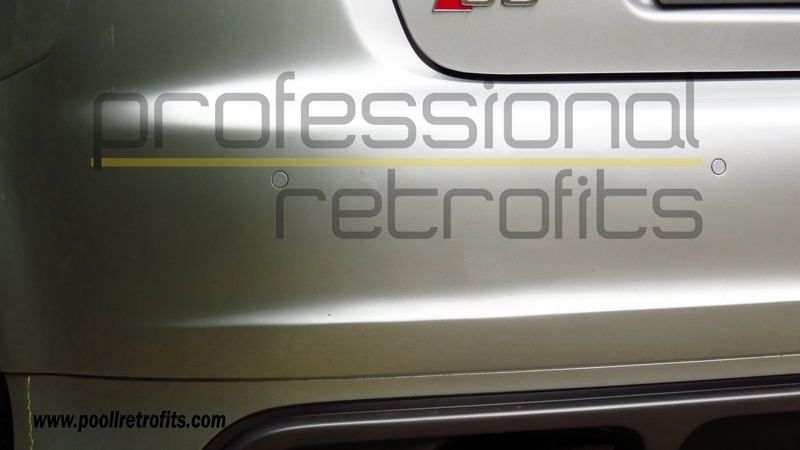 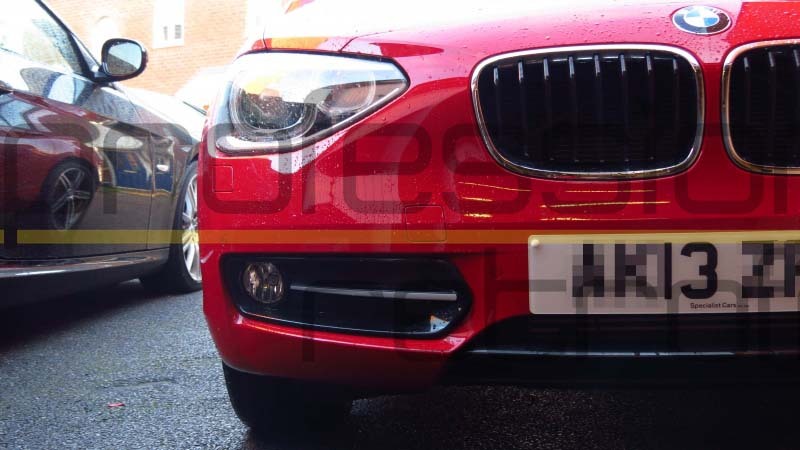 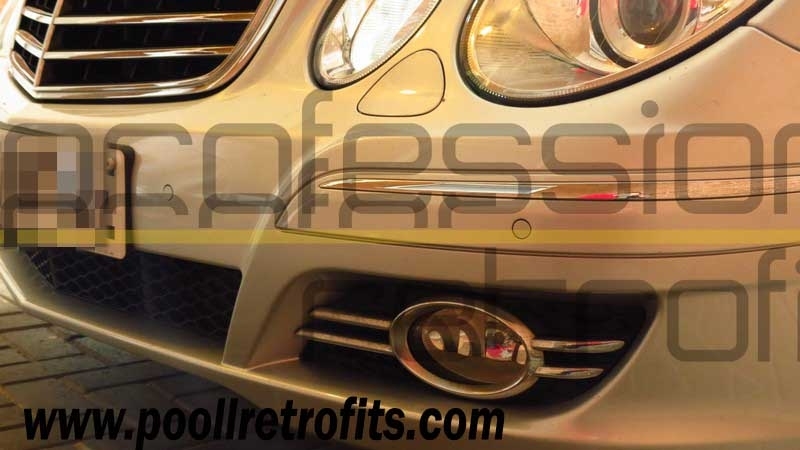 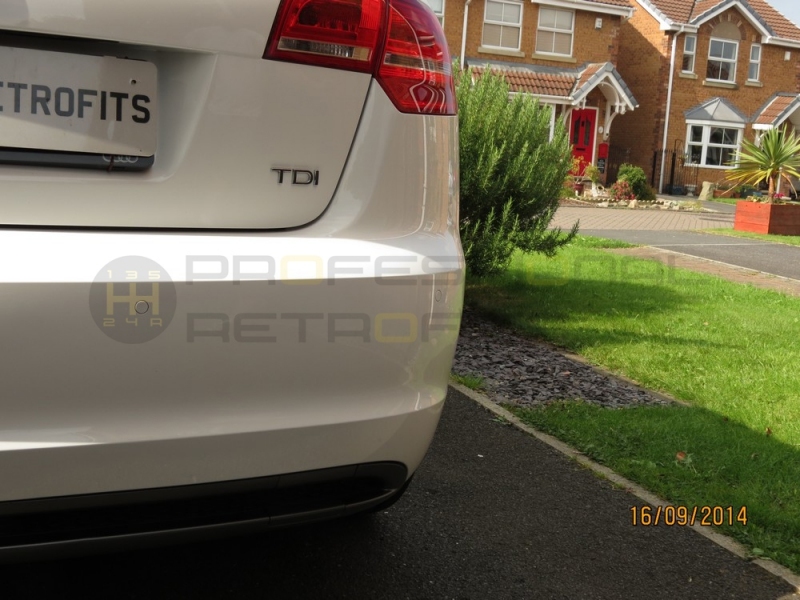 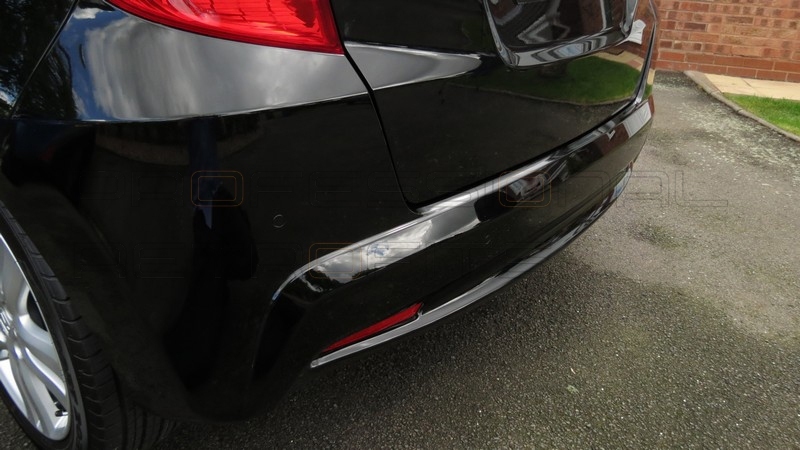 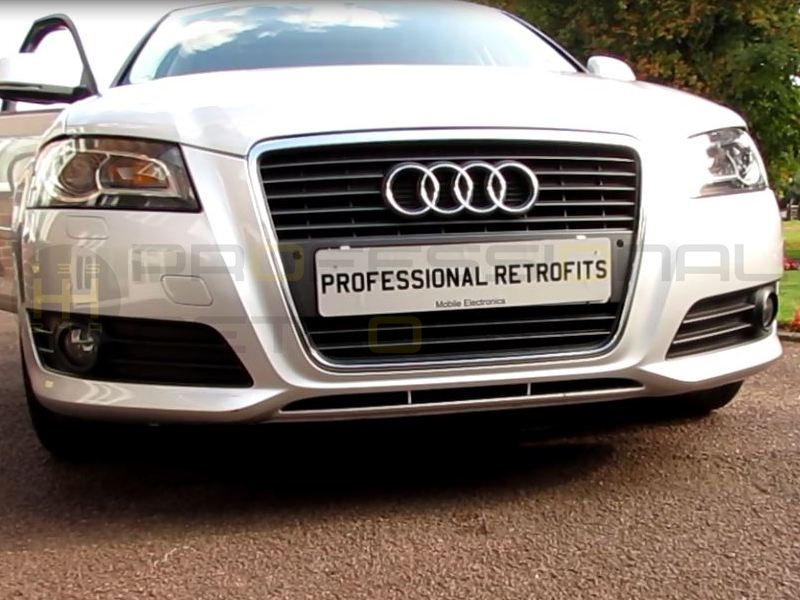 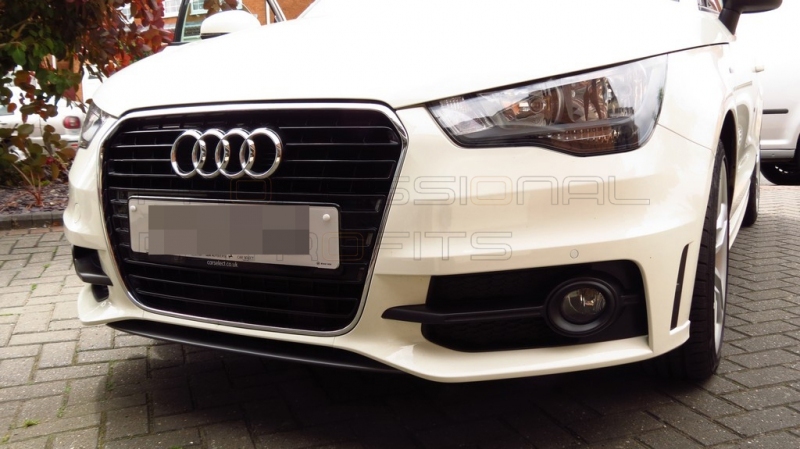 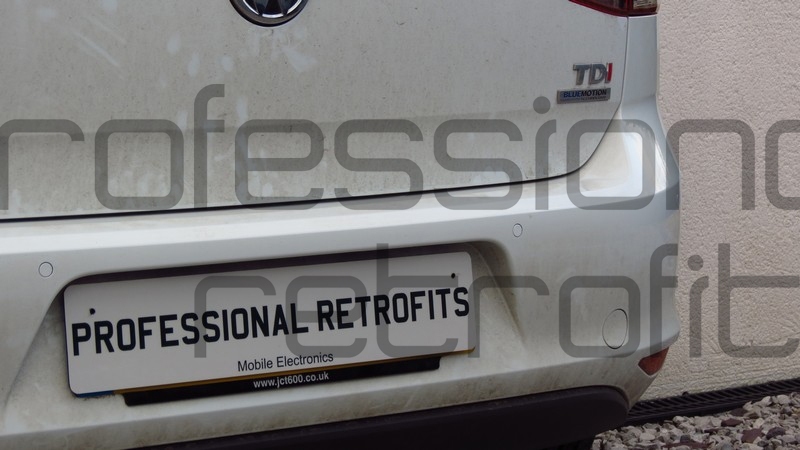 All pictures below show OE Style Flush Mount Cobra/Vodafone Parkmaster R0394 and F0394, A0358 parking sensors fitted into our customers vehicles.